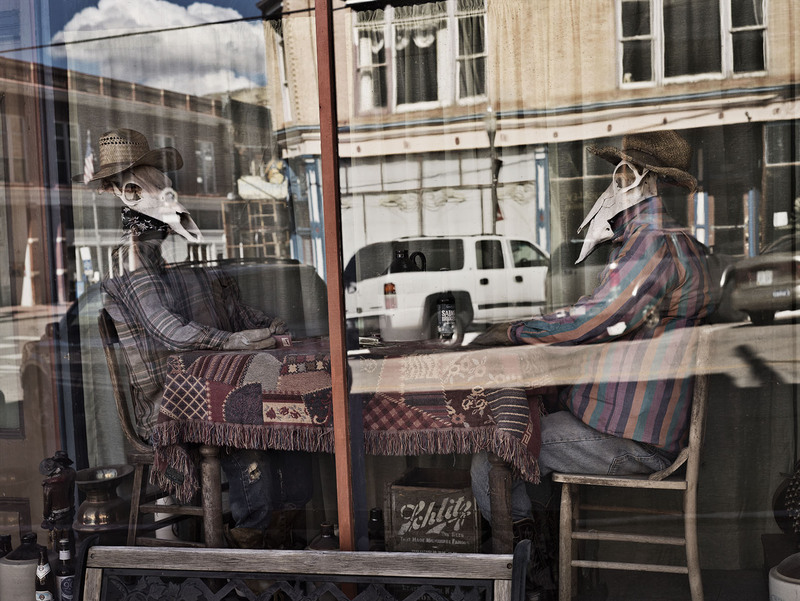 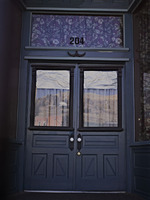 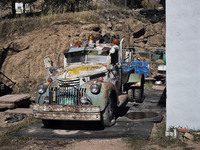 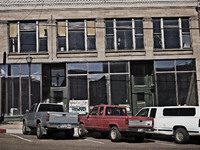 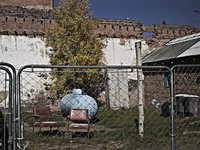 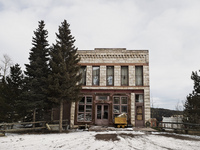 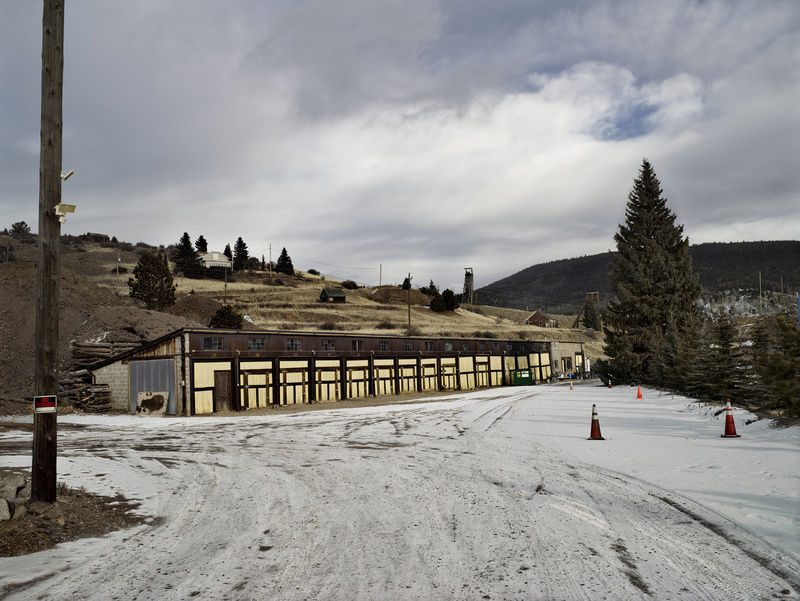 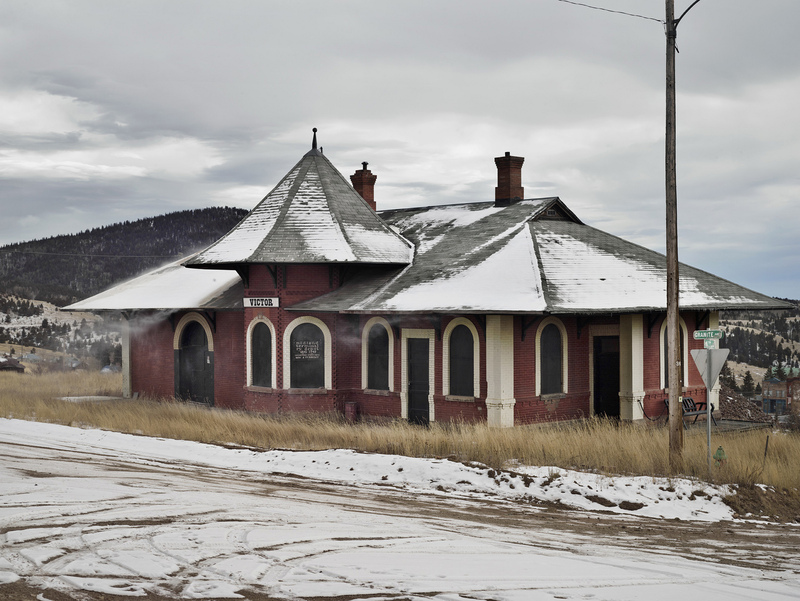 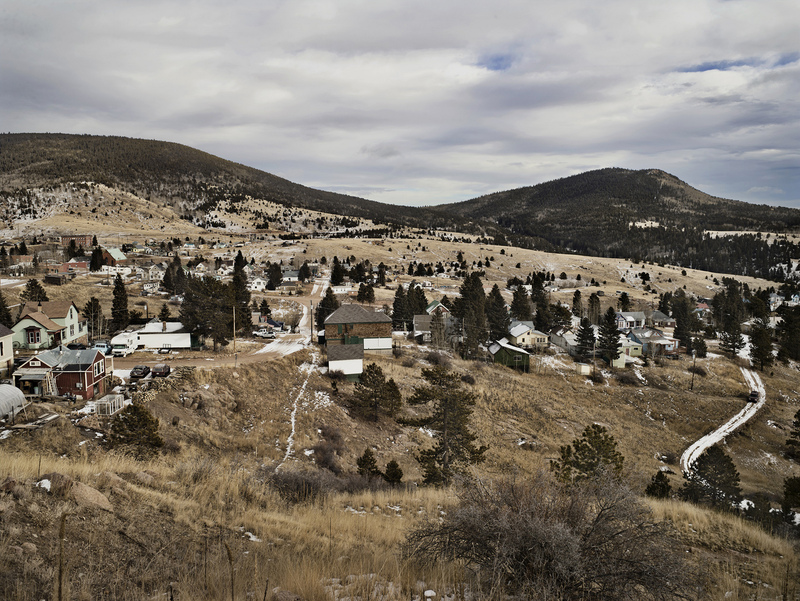 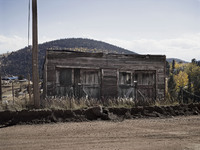 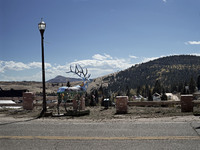 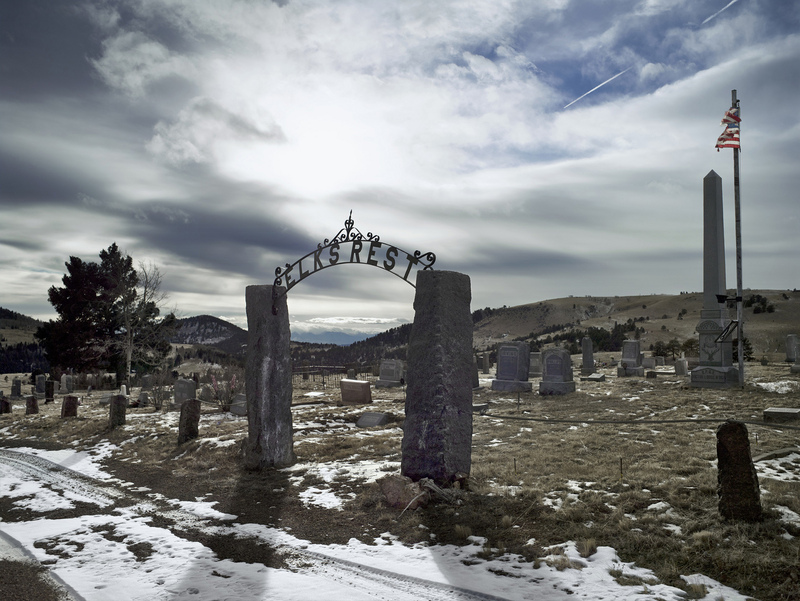 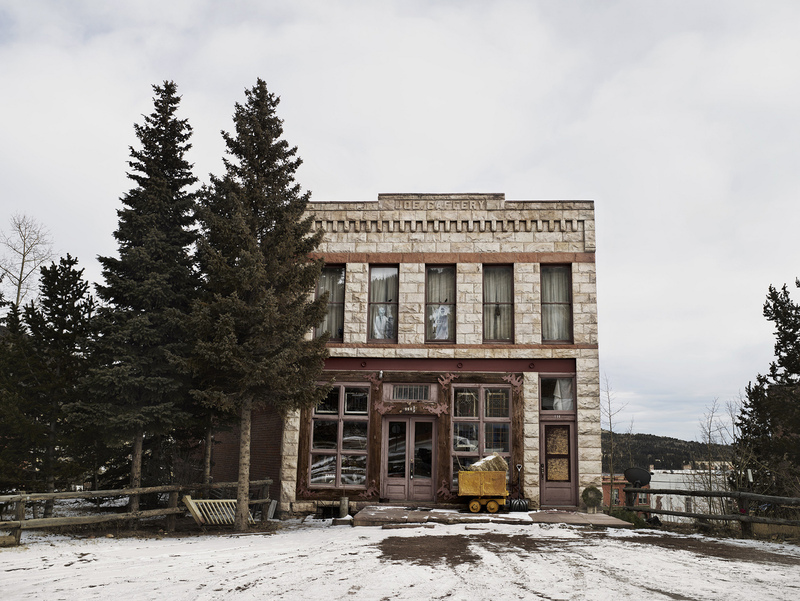 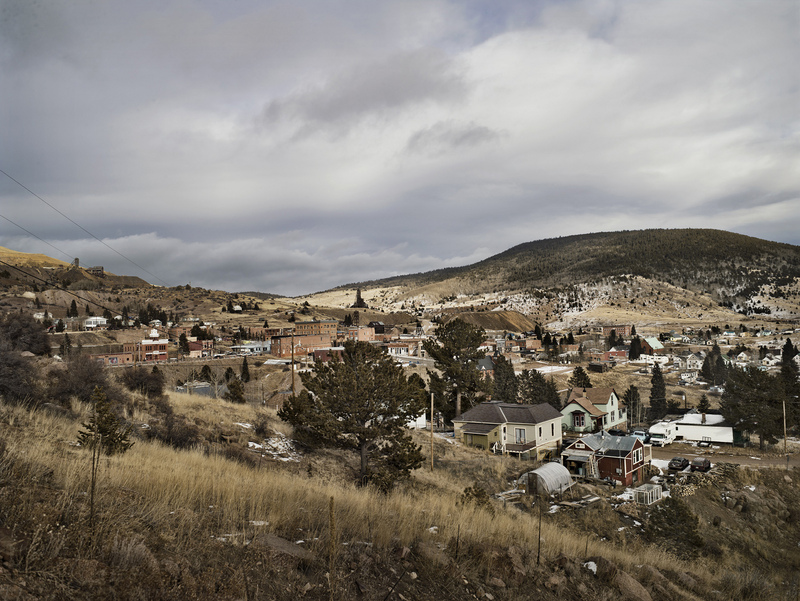 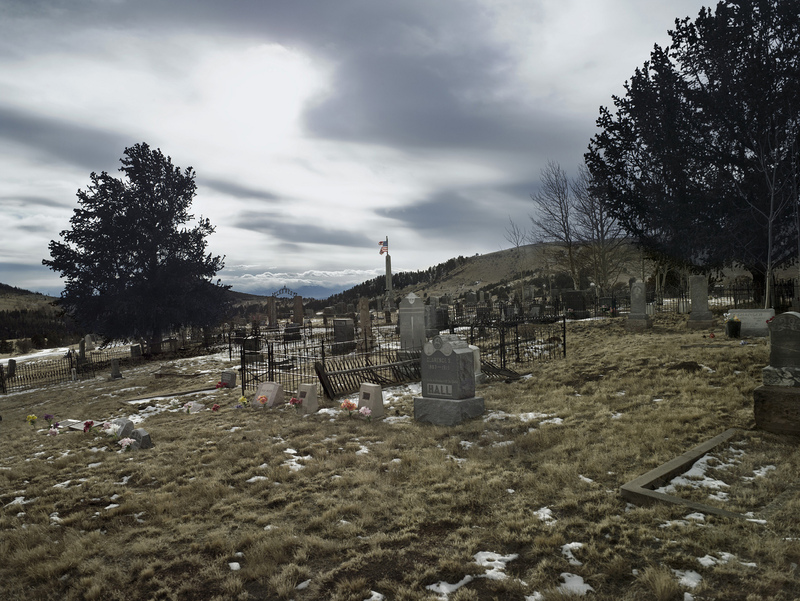 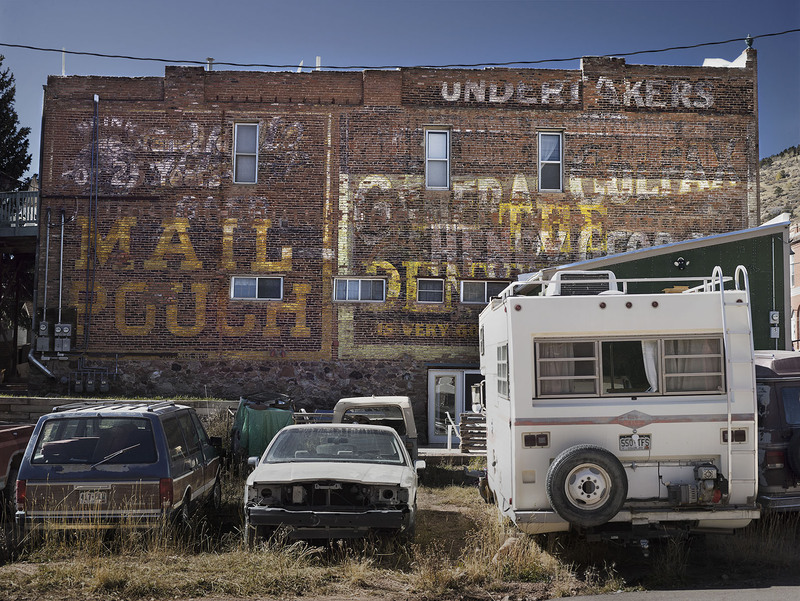 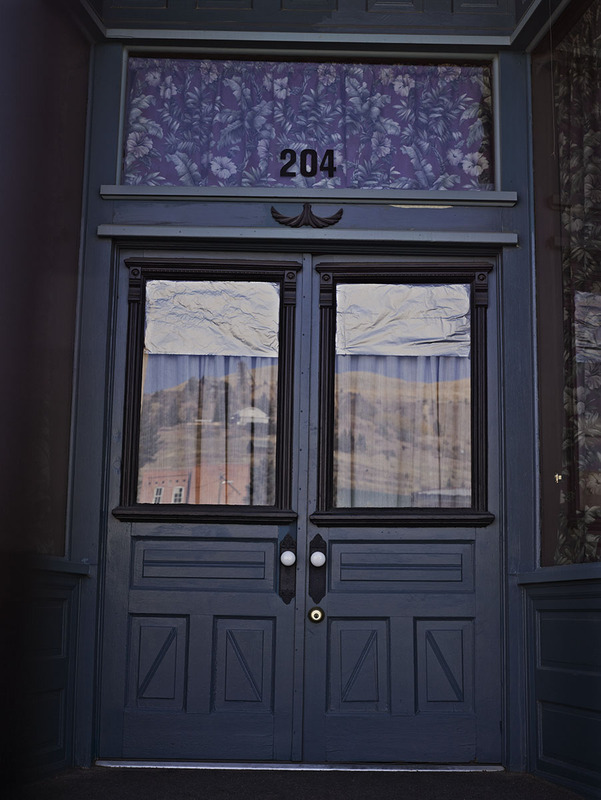 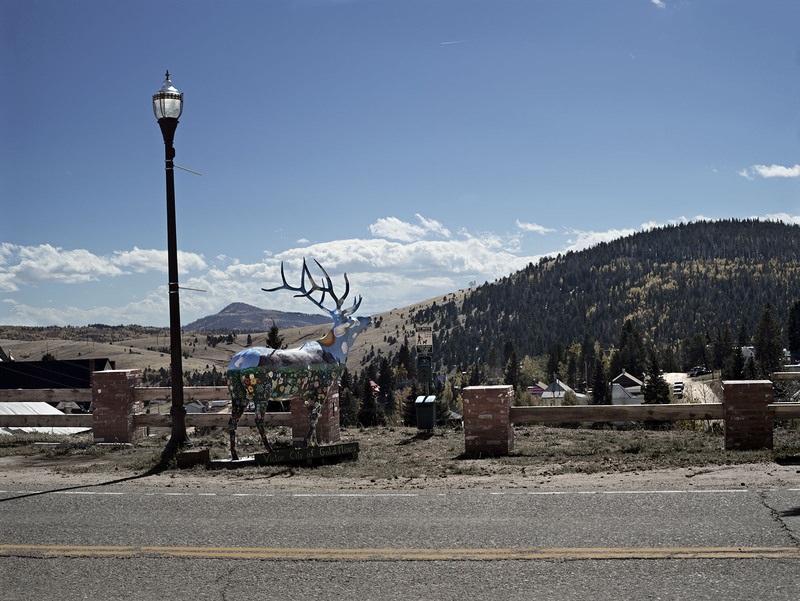 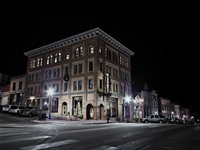 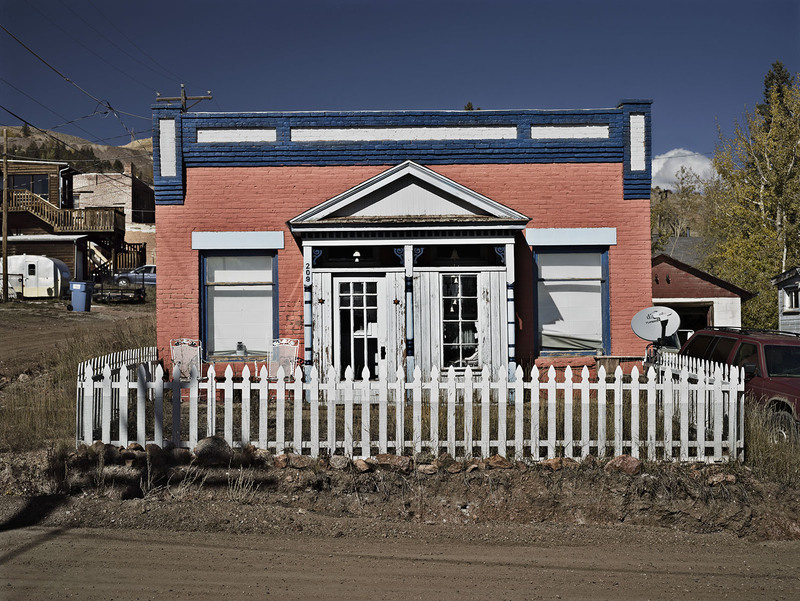 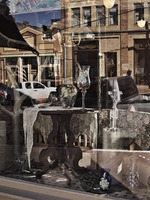 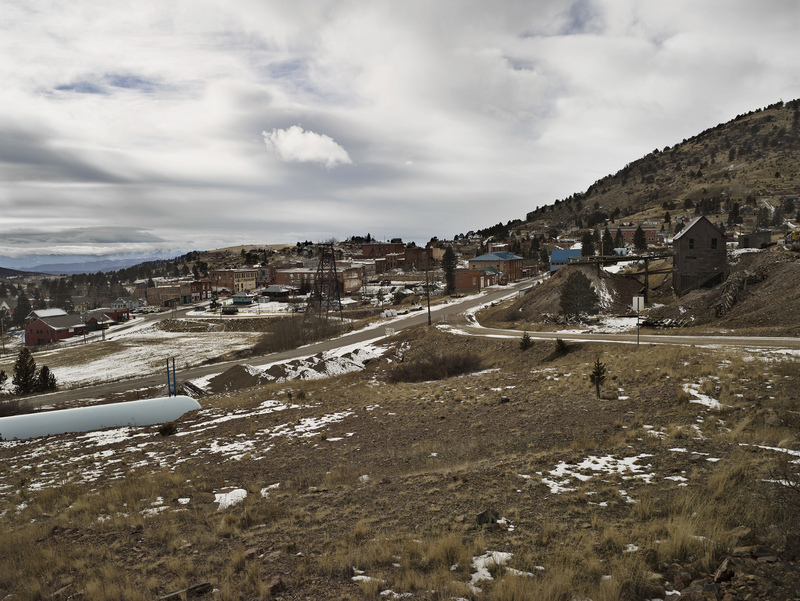 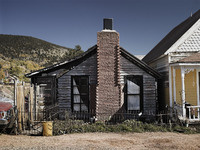 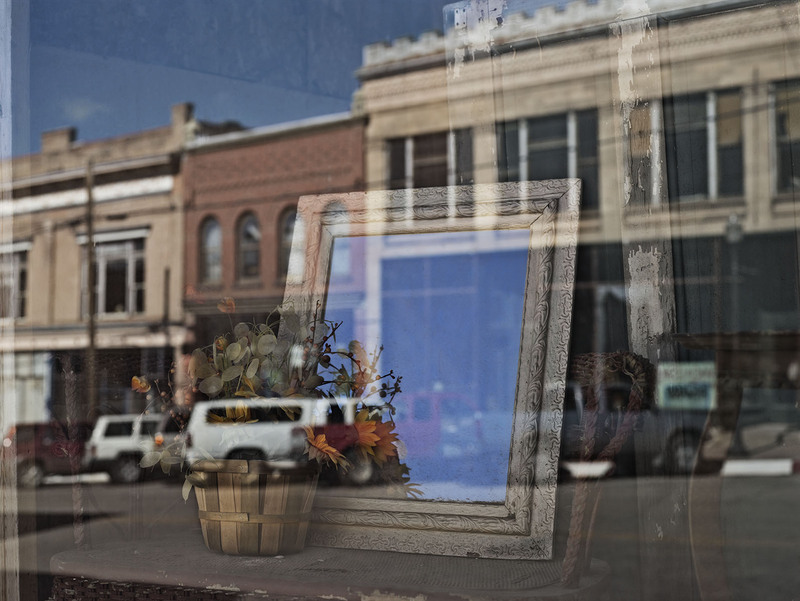 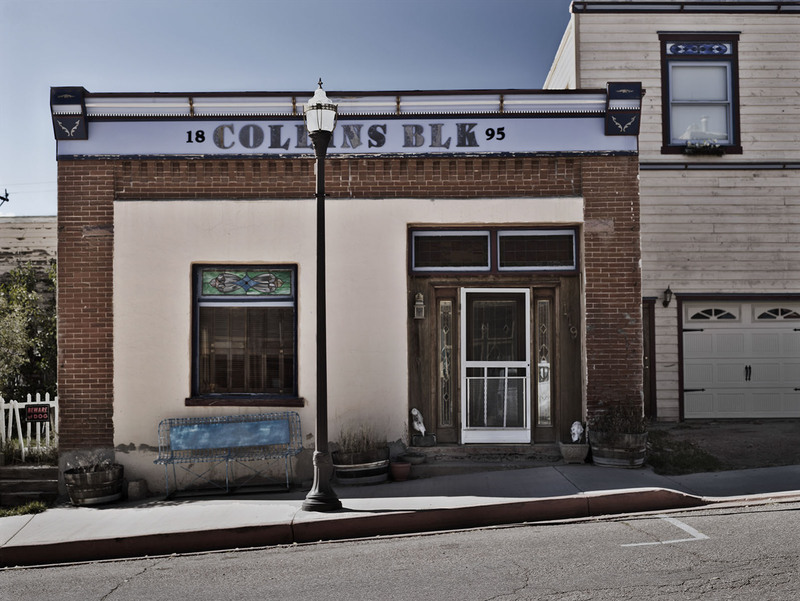 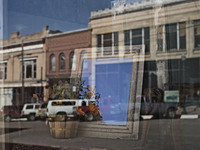 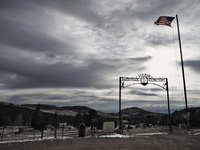 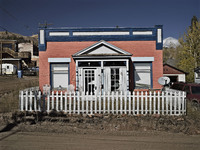 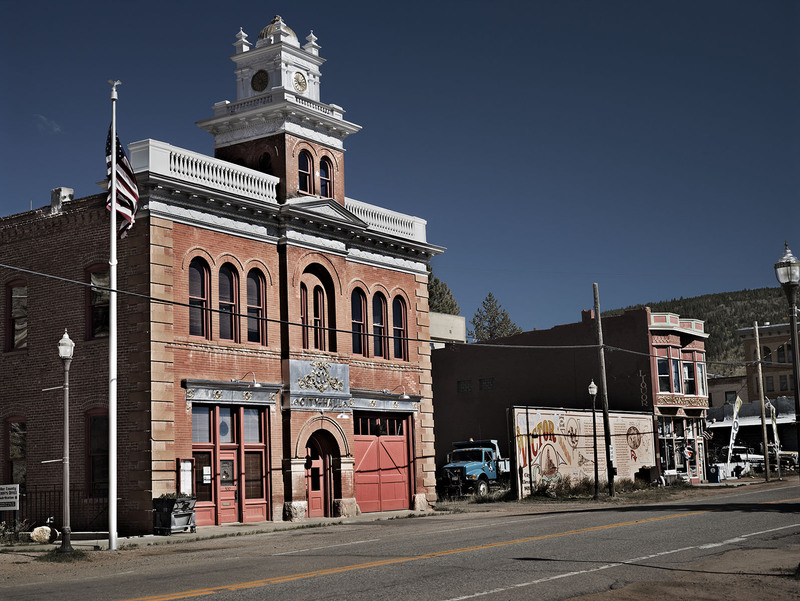 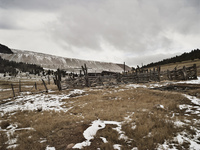 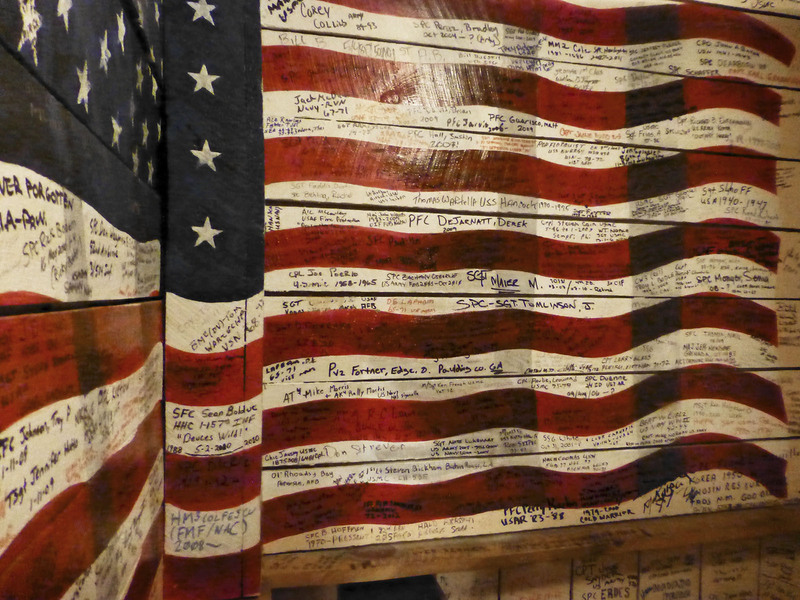 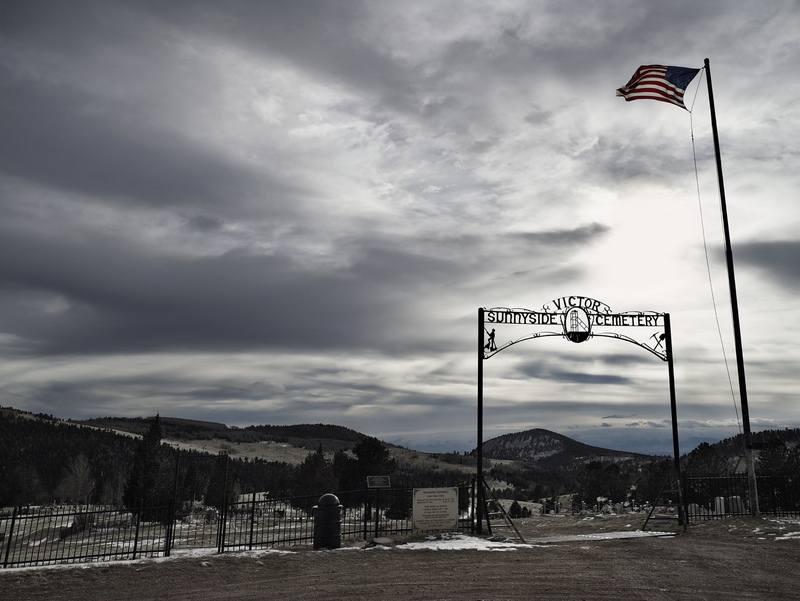 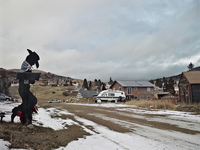 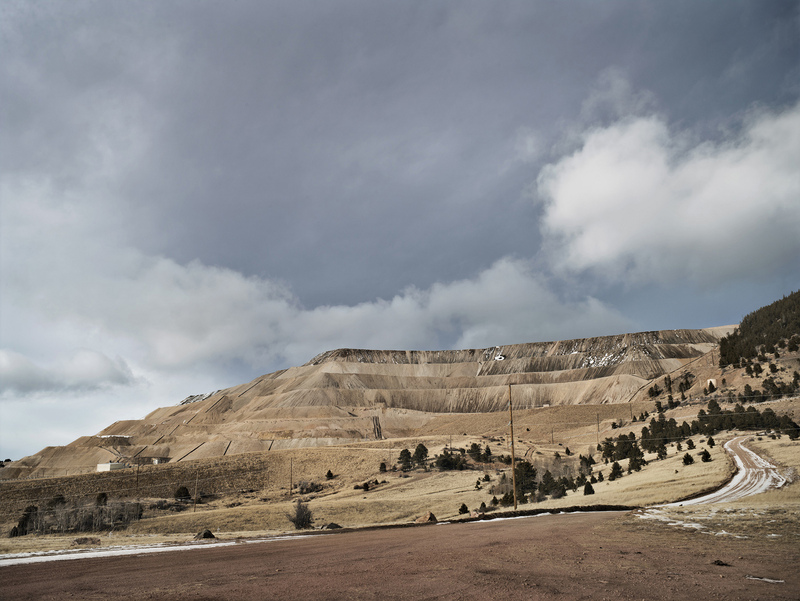 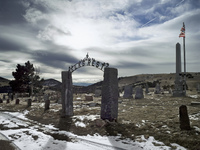 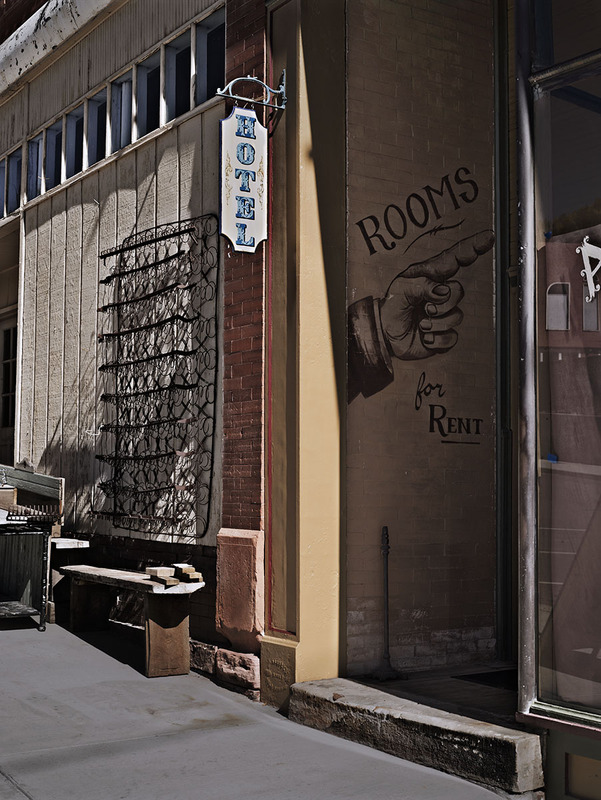 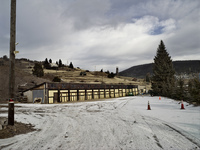 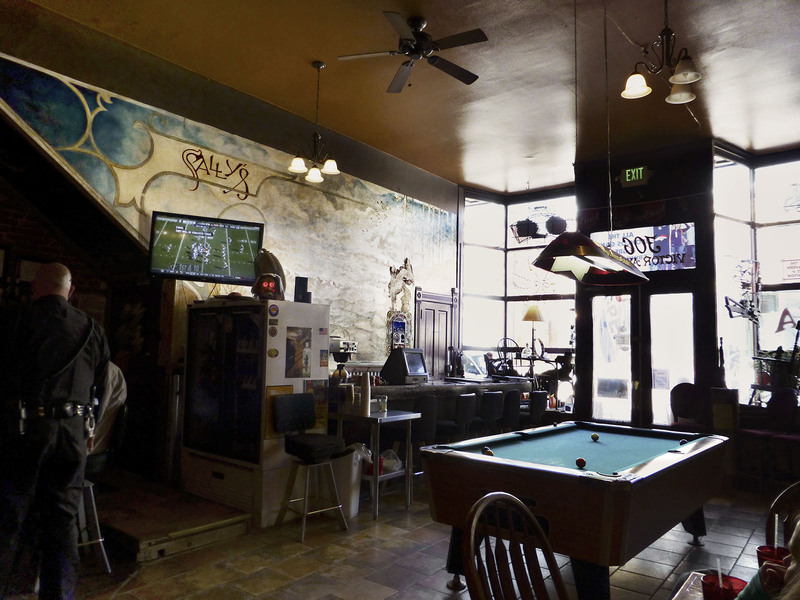 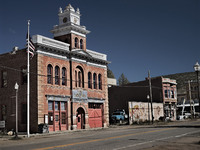 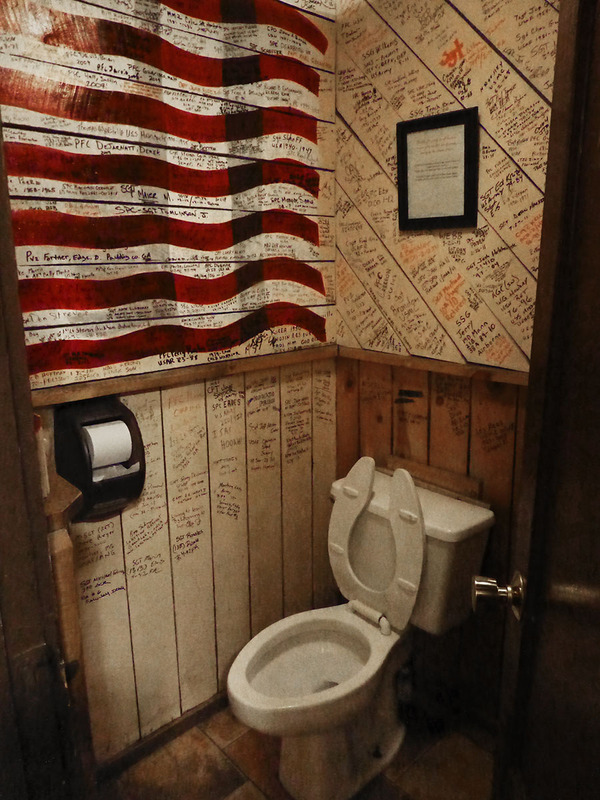 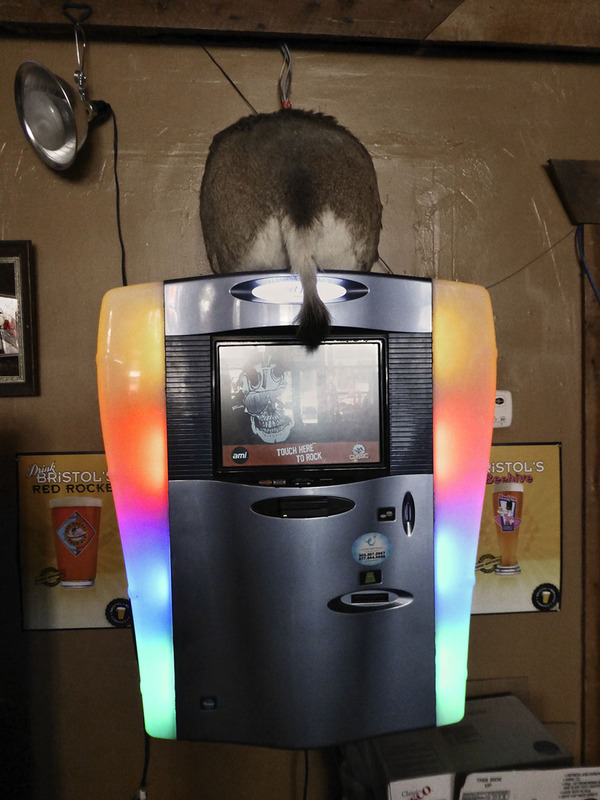 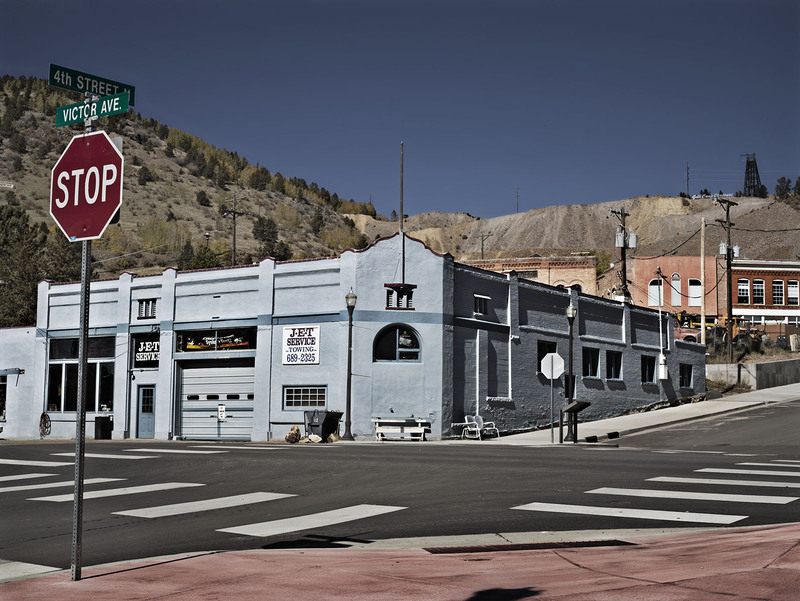 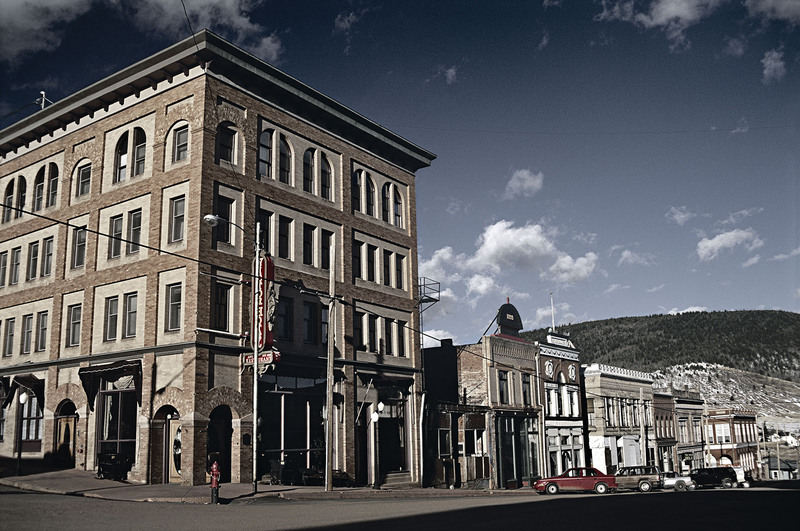 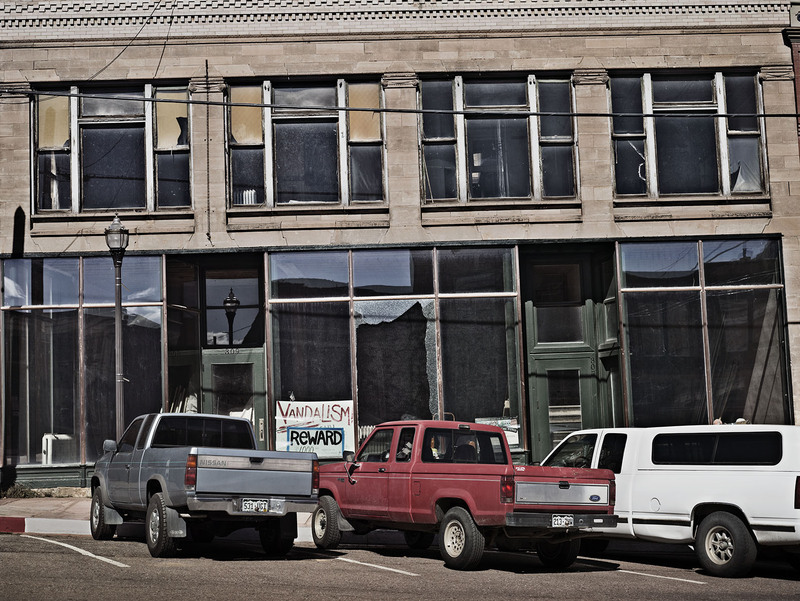 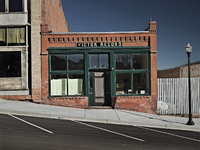 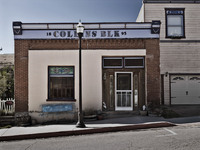 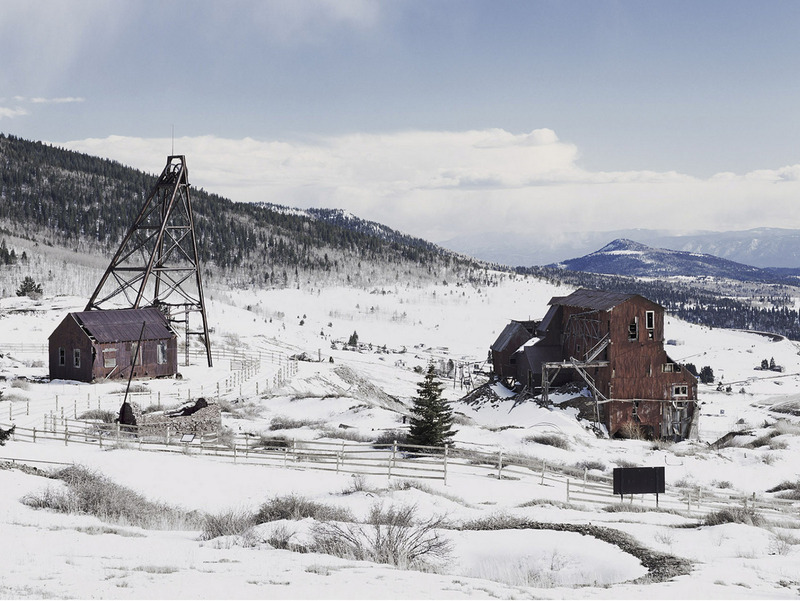 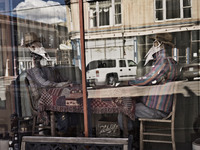 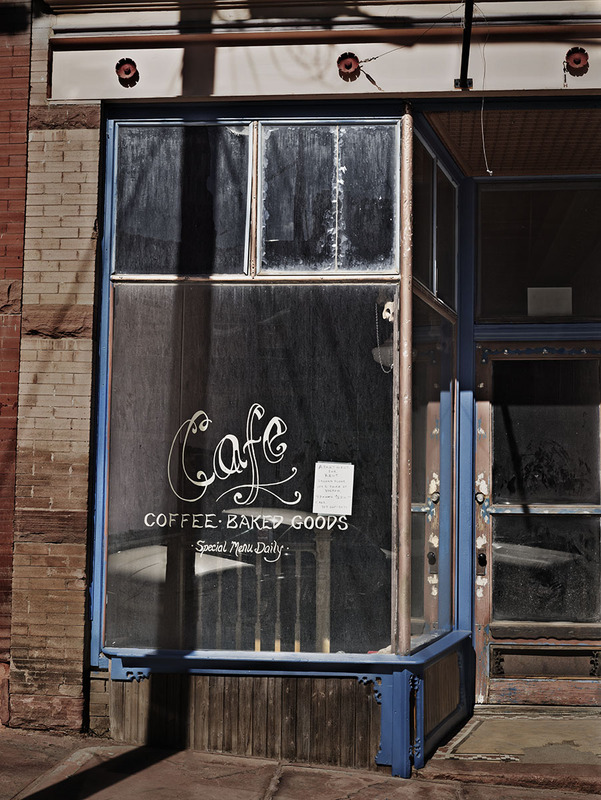 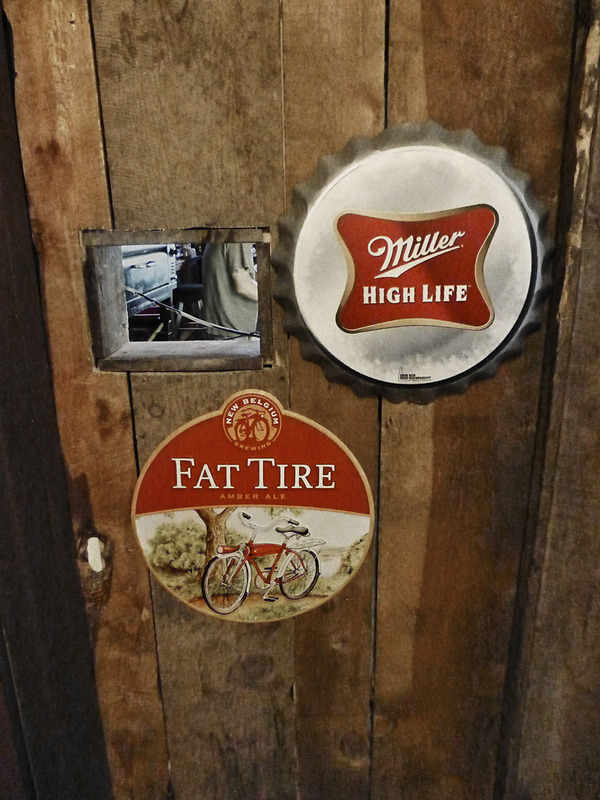 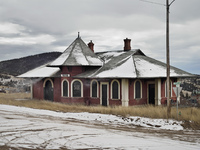 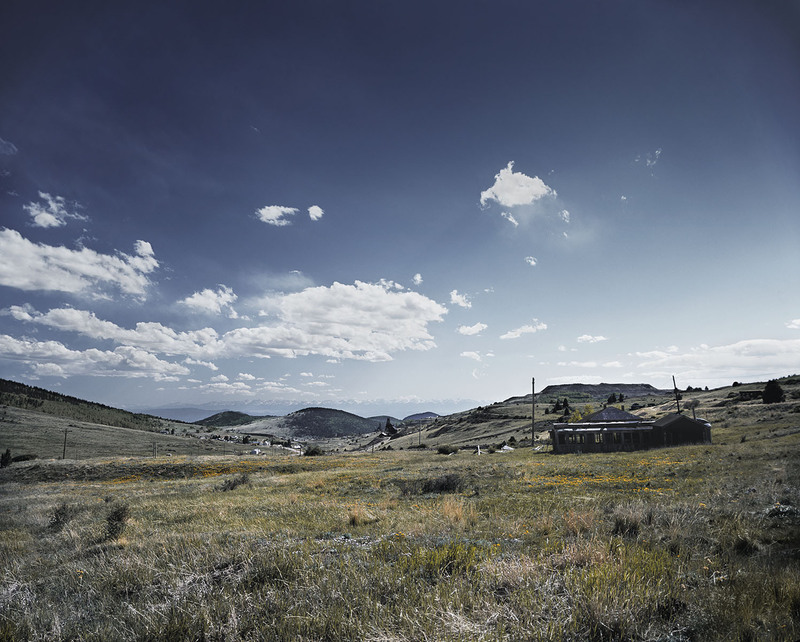 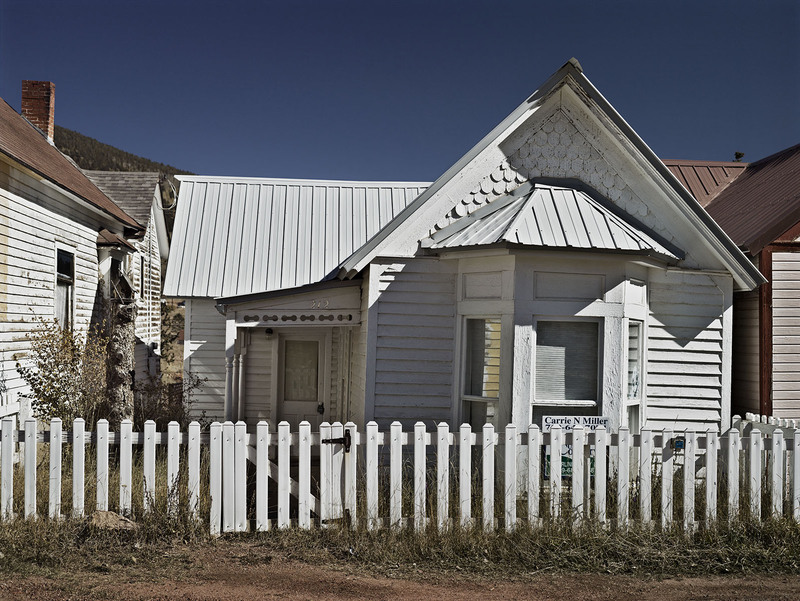 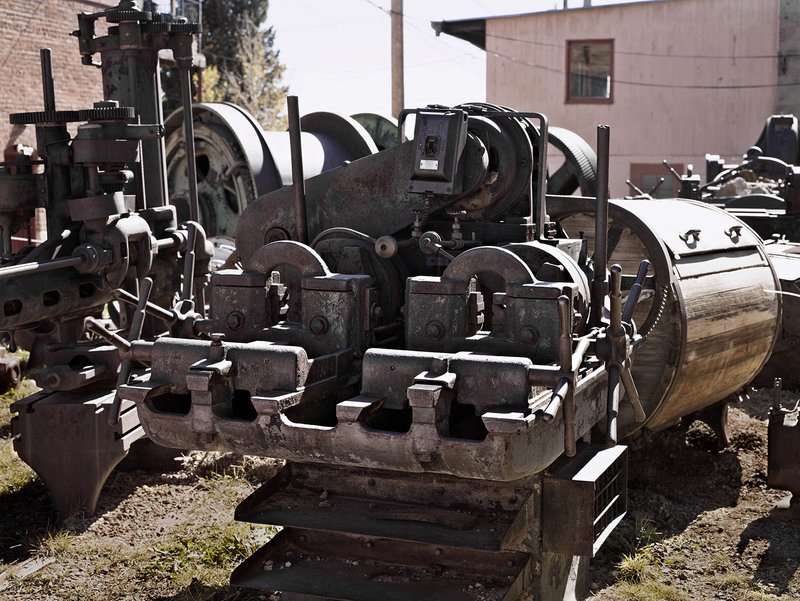 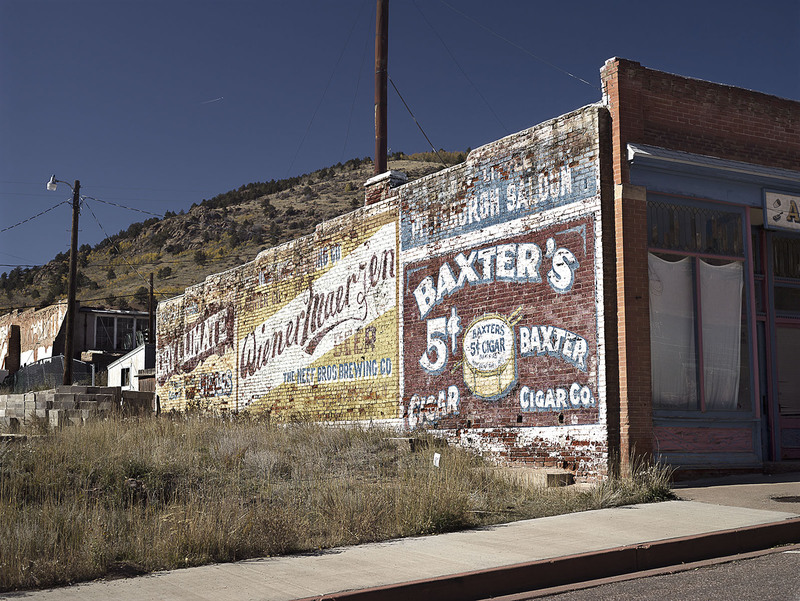 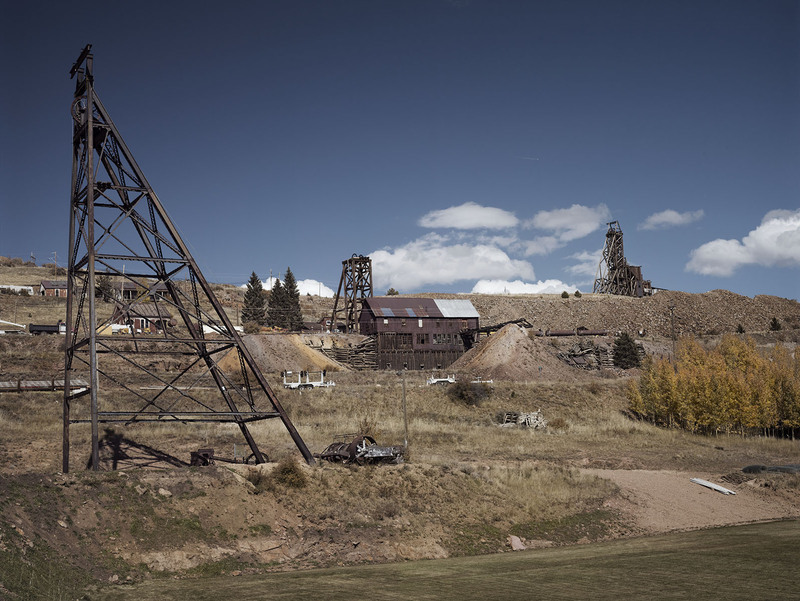 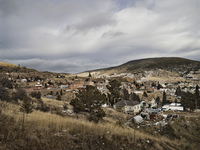 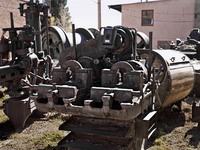 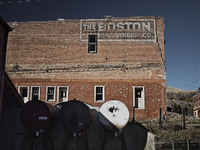 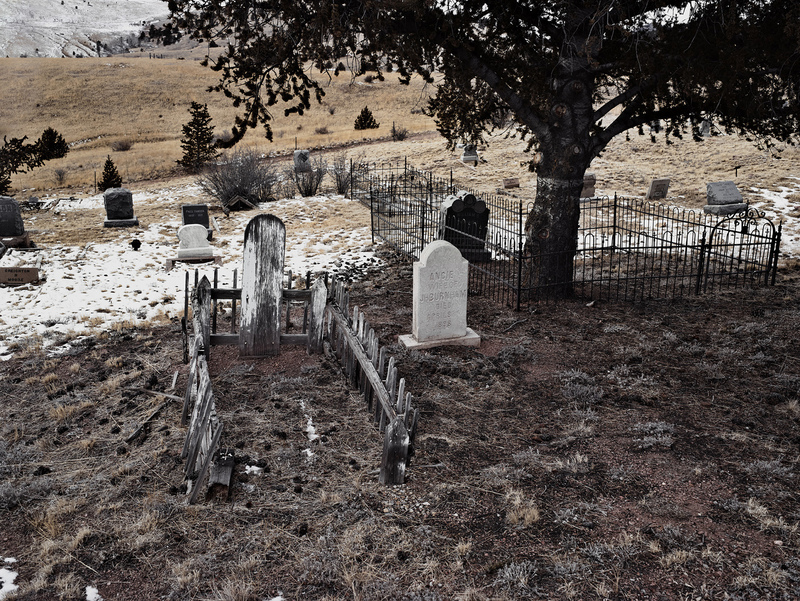 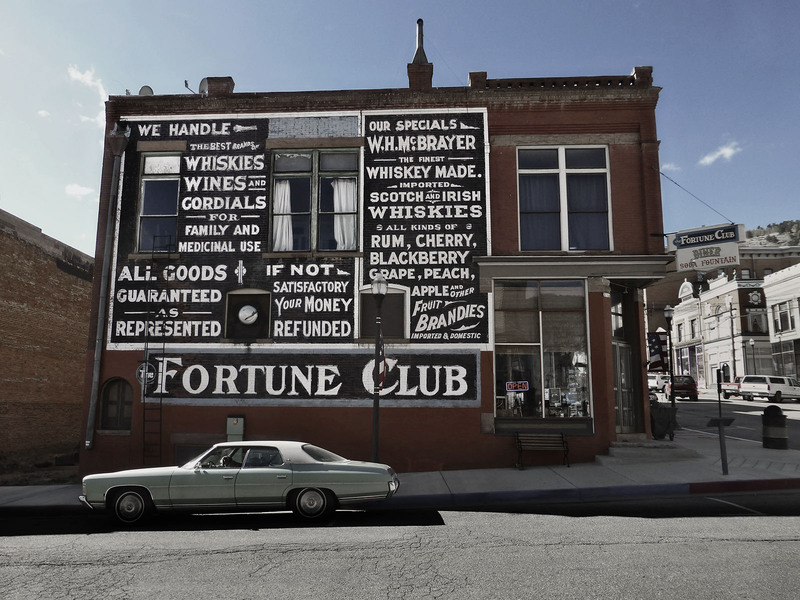 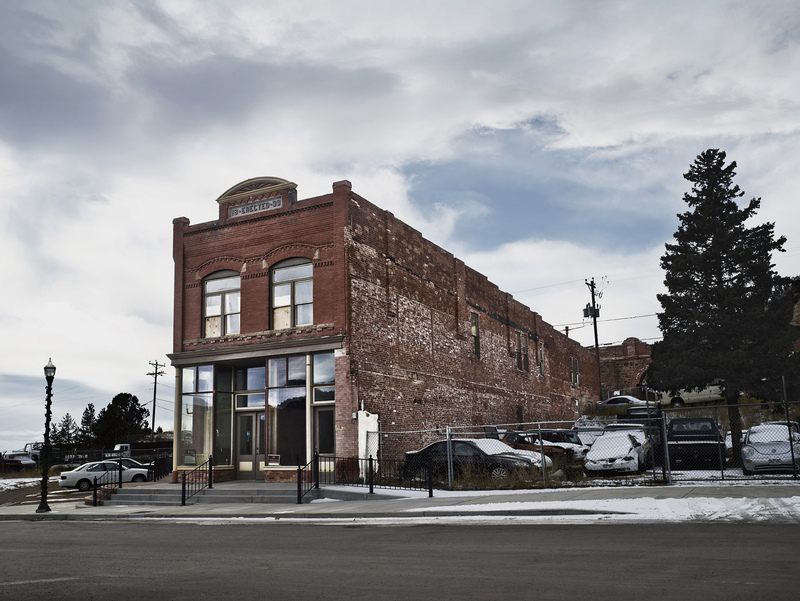 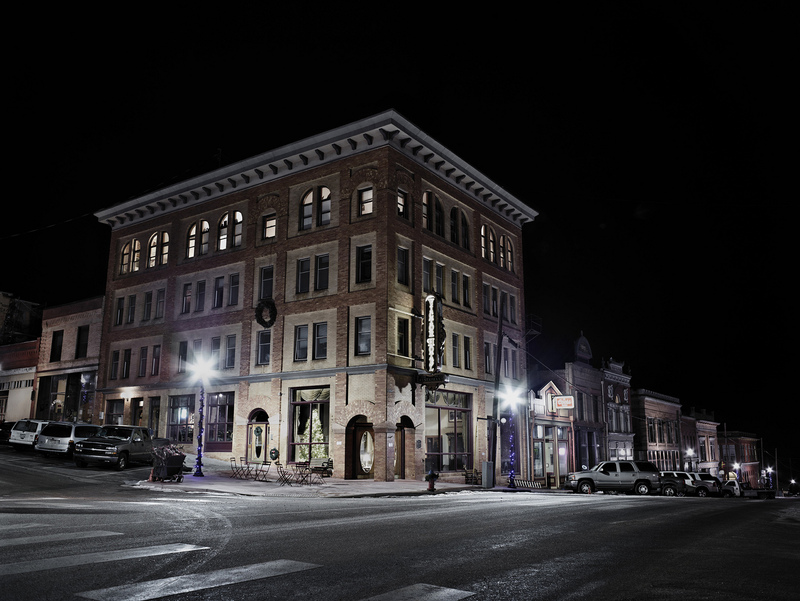 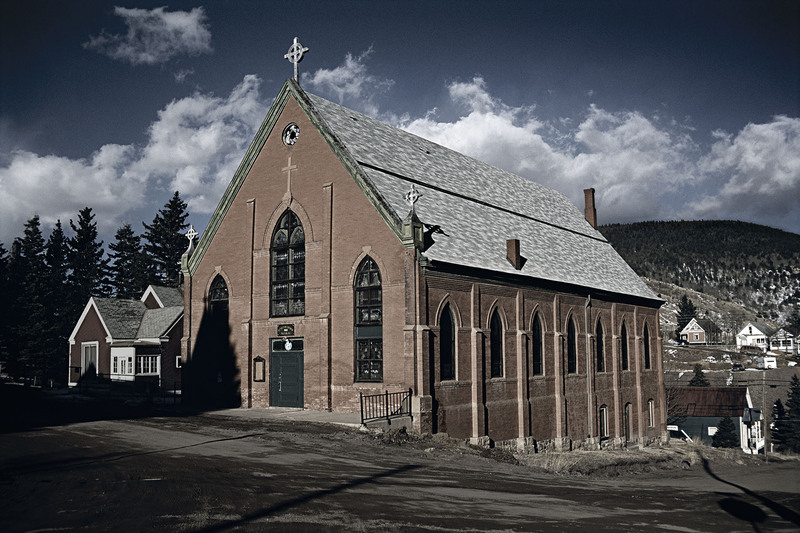 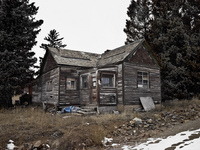 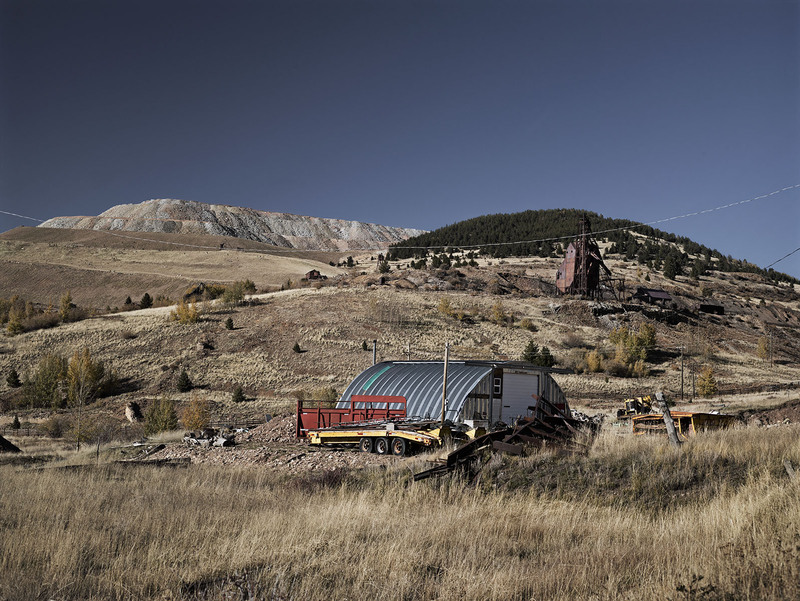 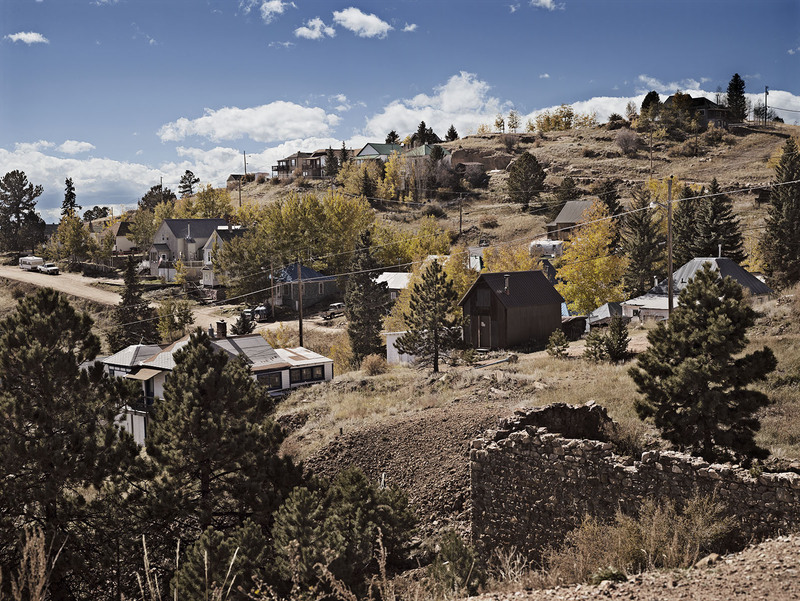 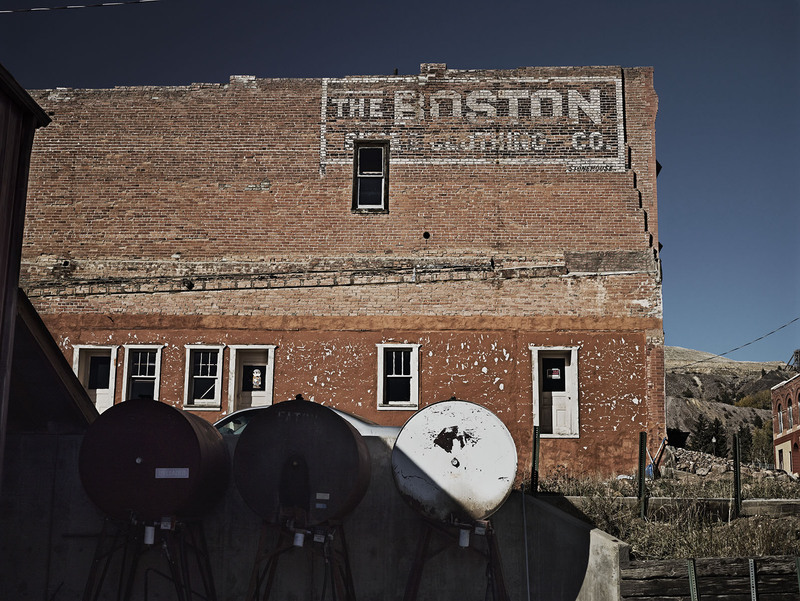 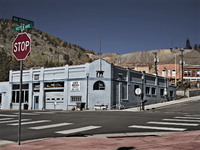 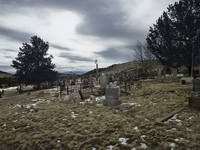 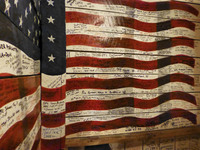 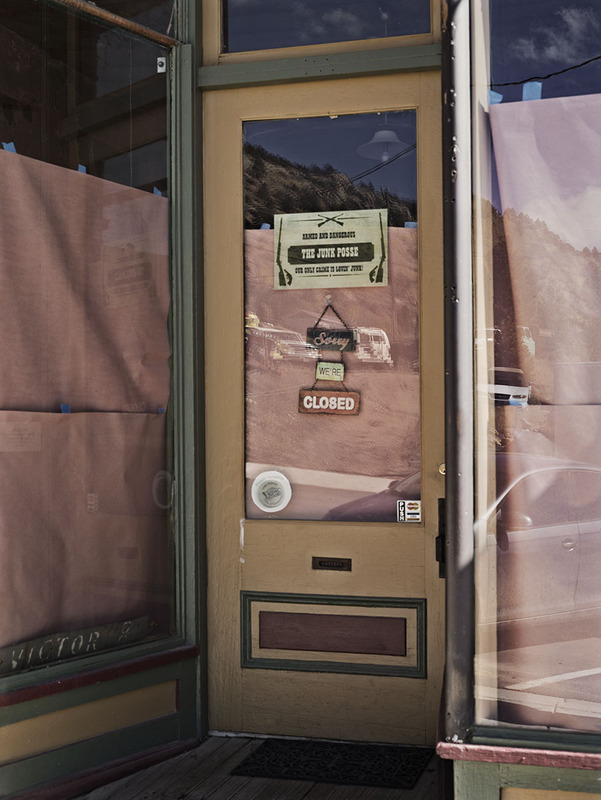 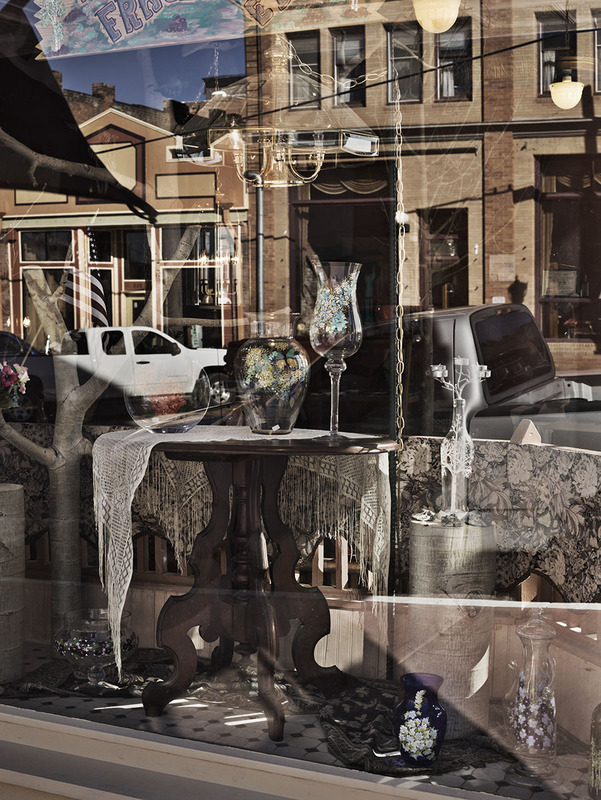 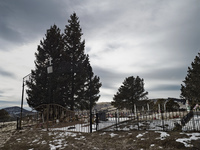 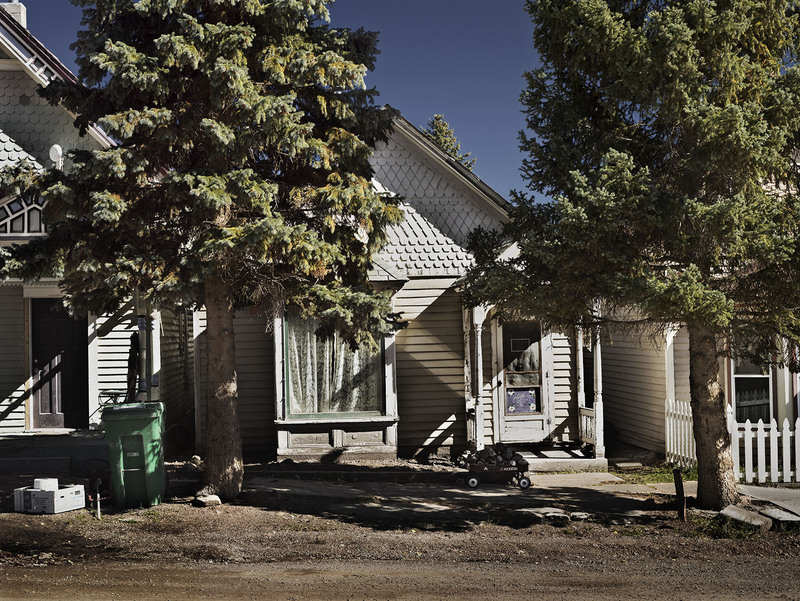 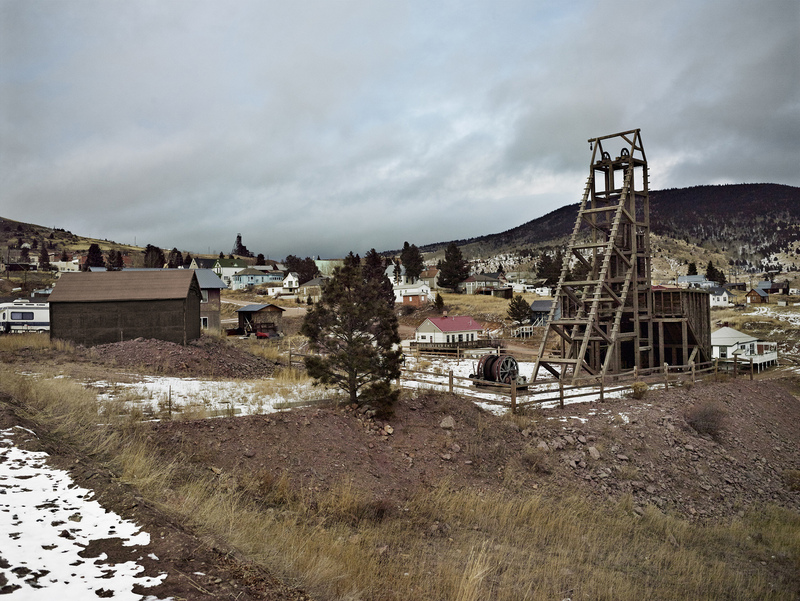 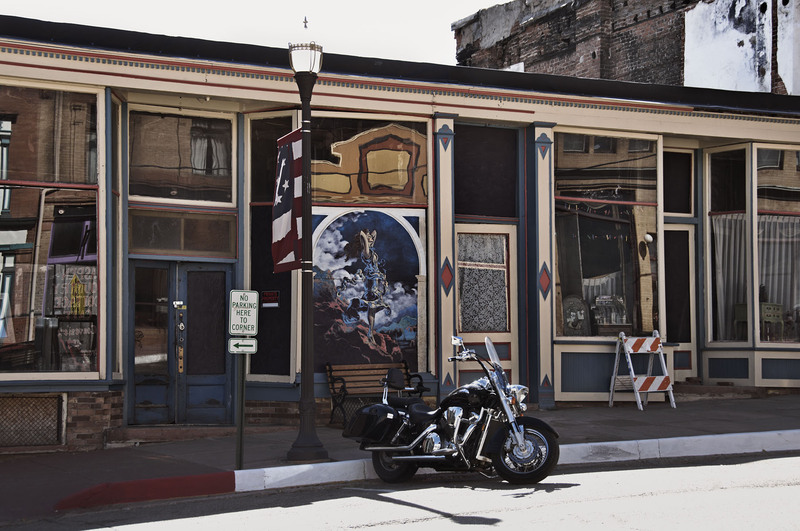 "Victor, Colorado sits high atop the Rocky Mountains, at an elevation of some 10,000 feet. 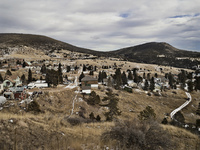 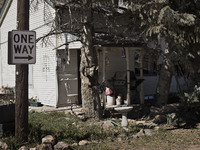 While the thin air, and hot, close sunshine are frequent reminders of just how far "away" this place is, a better illustration of the distance between Victor and the rest of the world is the town itself. 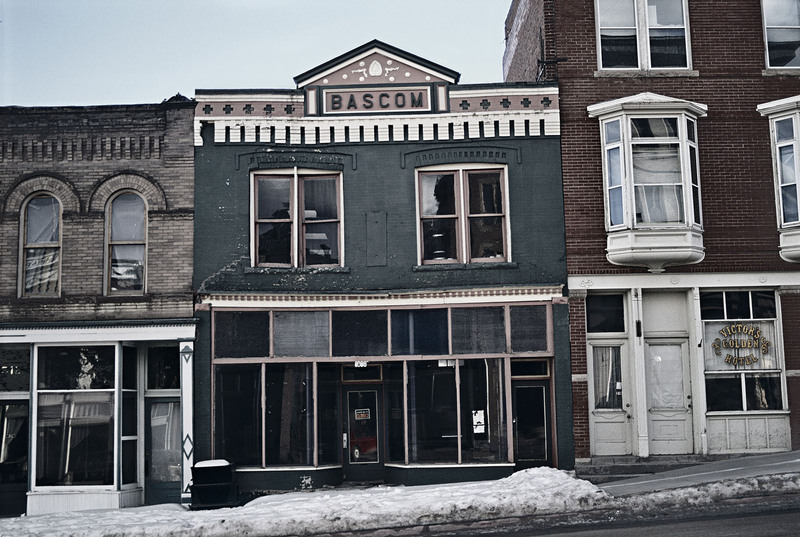 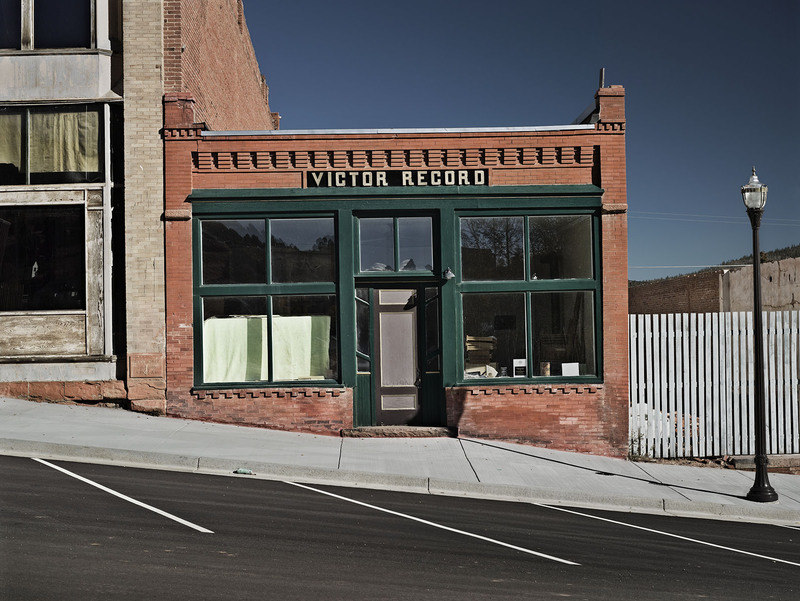 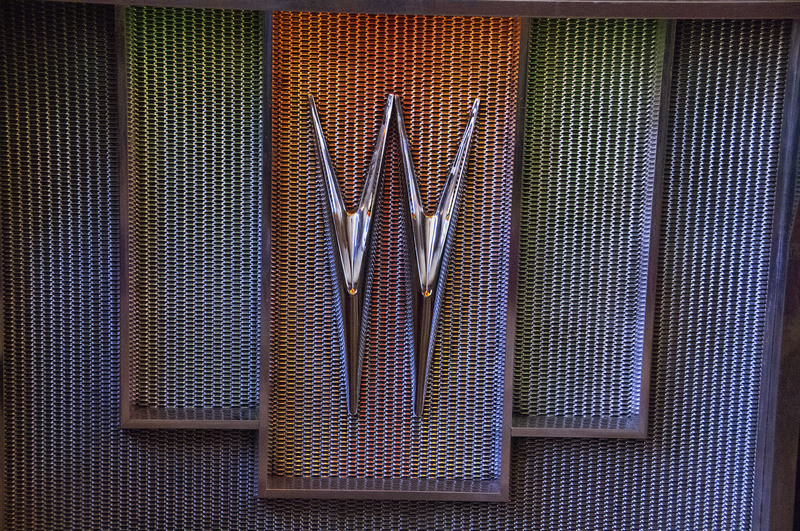 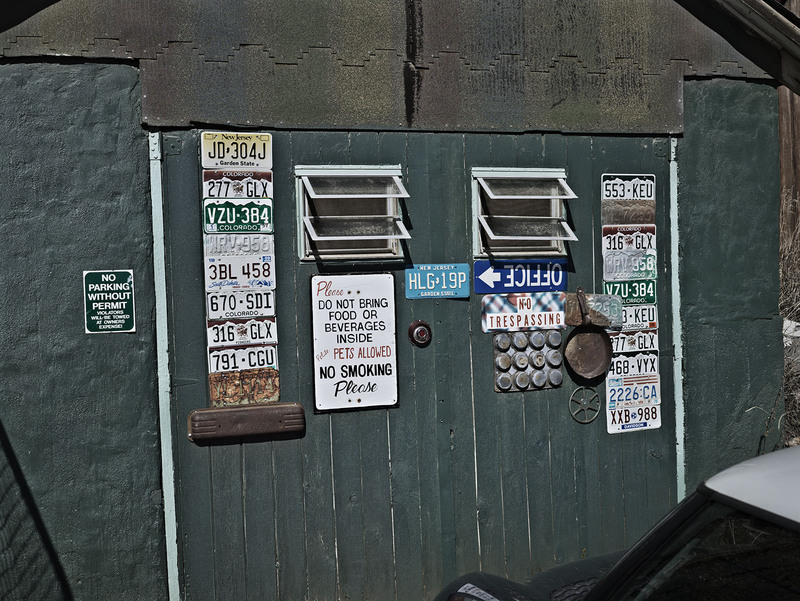 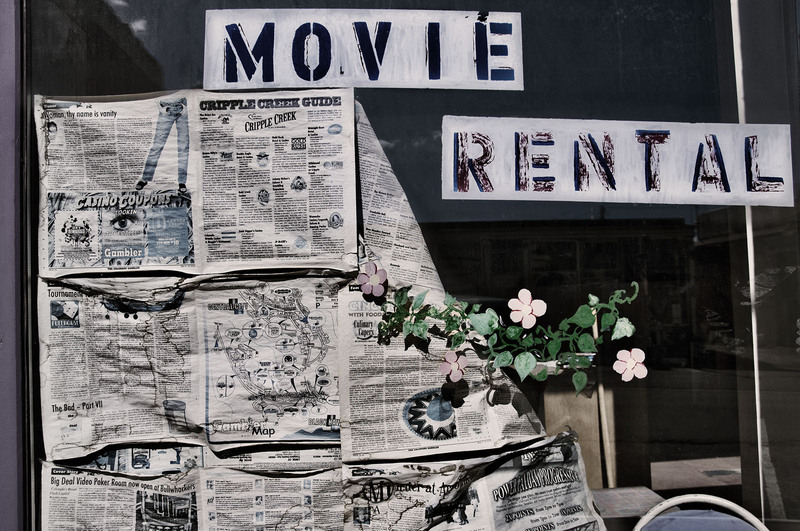 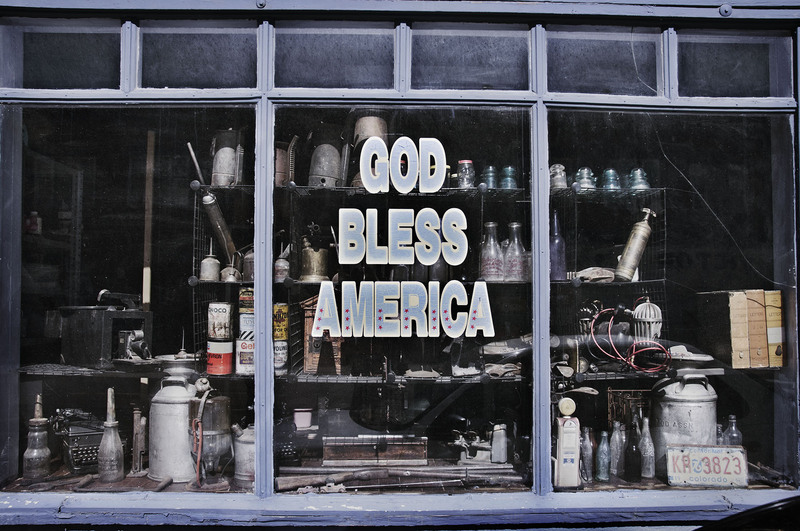 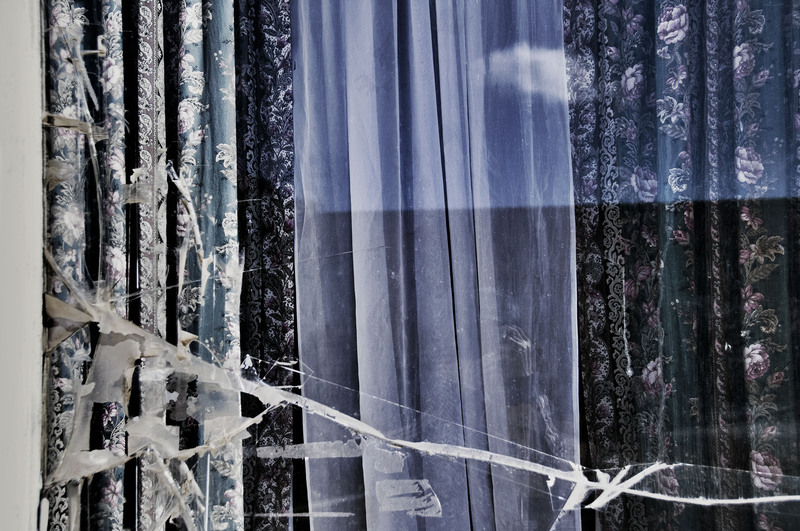 A picture of both historical decay and contemporary quirkiness, Victor is the kind of place that fascinates those who seek to reconcile dichotomies. 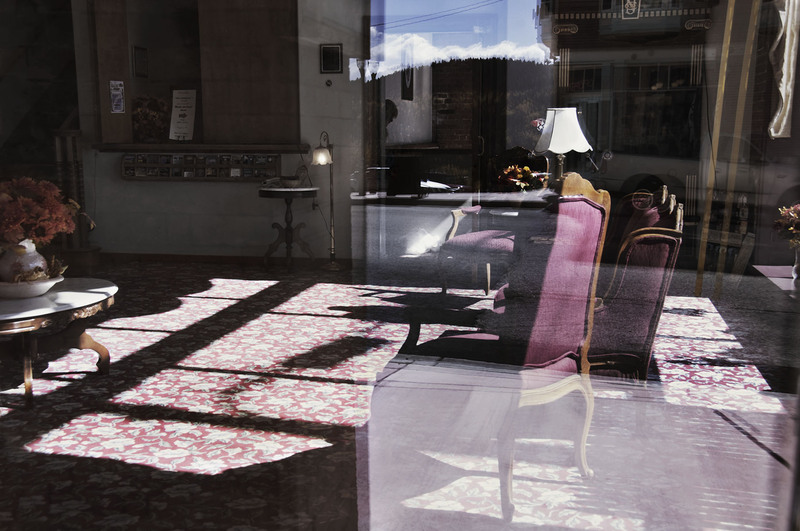 Noted fine art photographers Jonathan Anderson and Edwin Low have just the sort of eye that can peer inside the layers of meaning upon which Victor has been built, one aban-doned building or bar room decoration at a time. 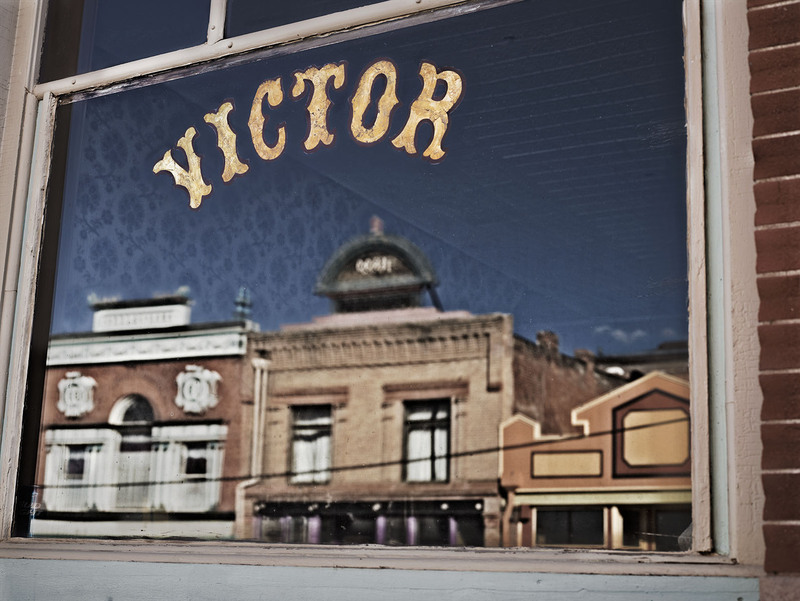 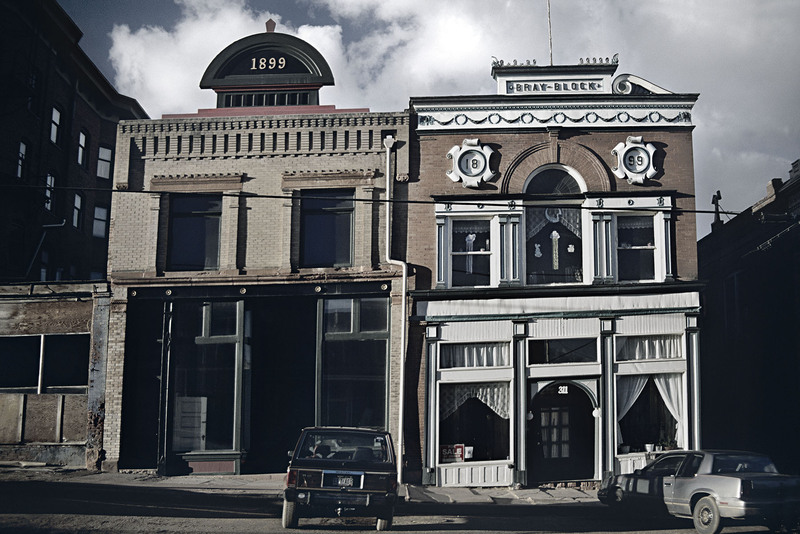 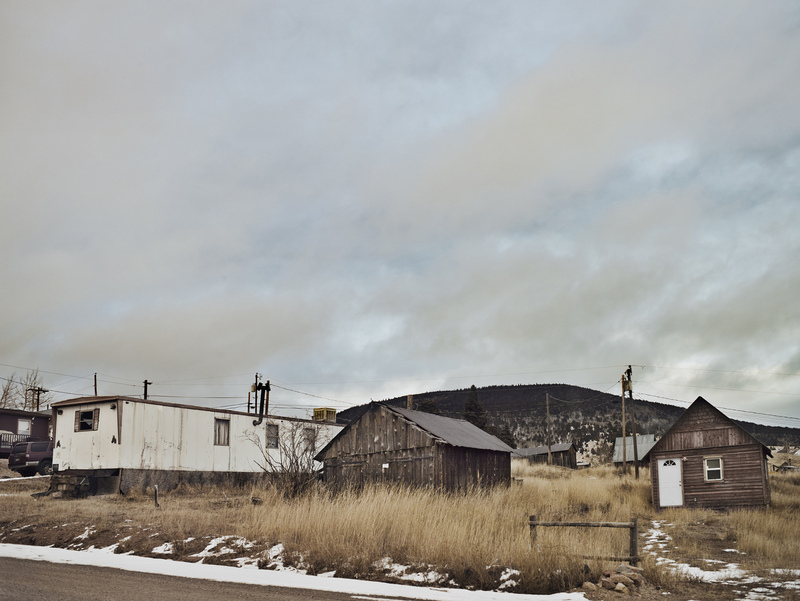 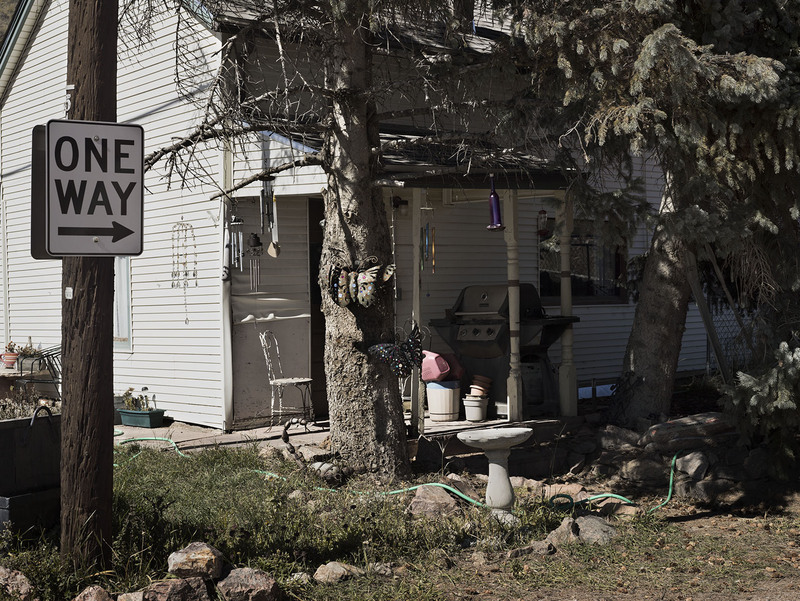 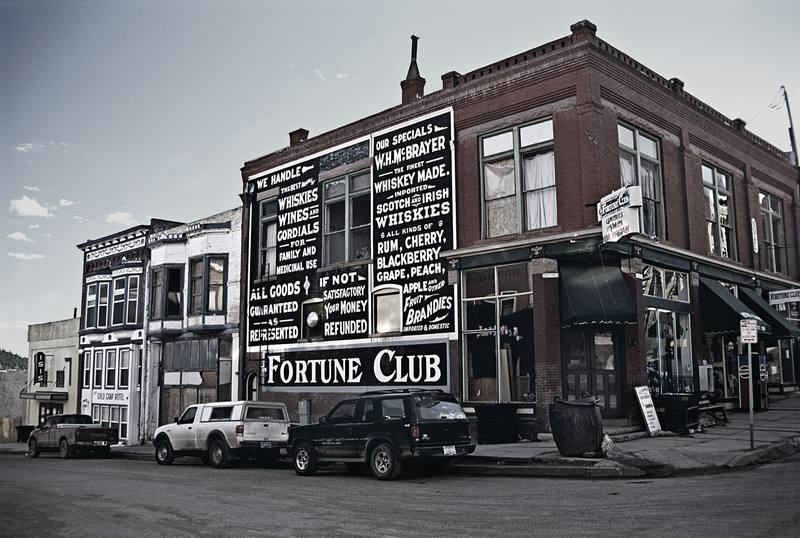 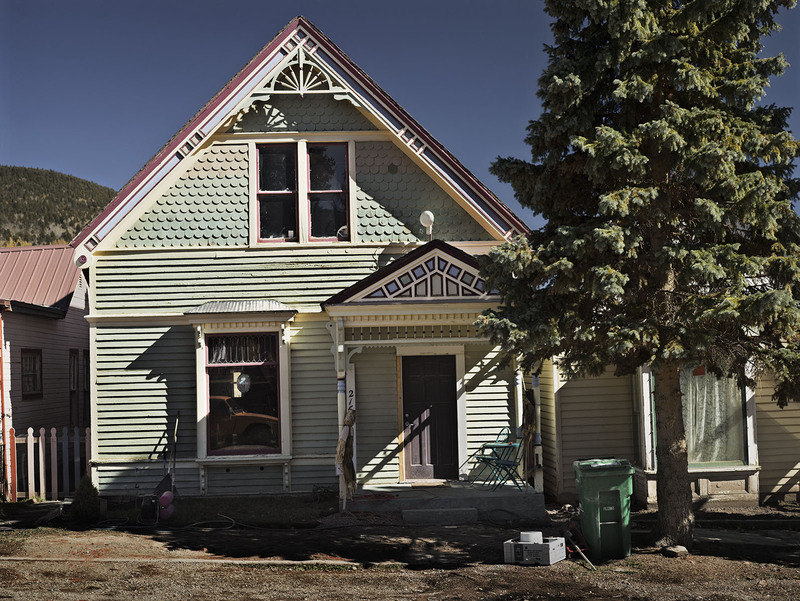 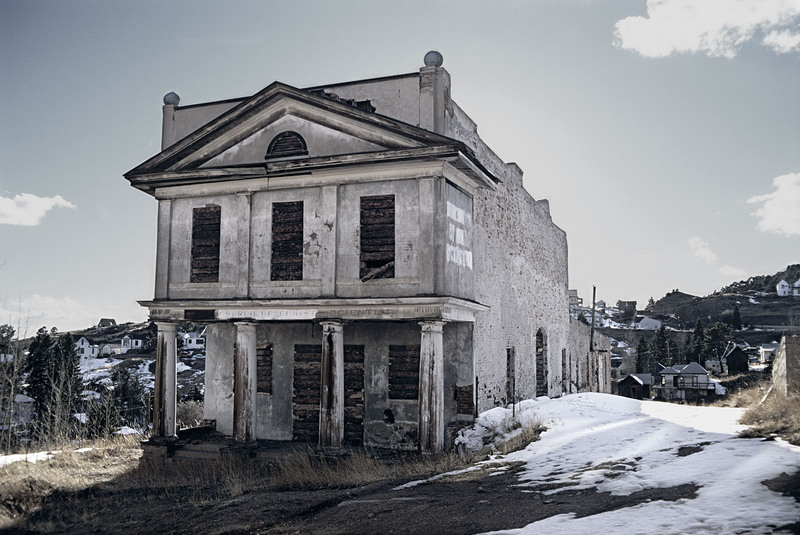 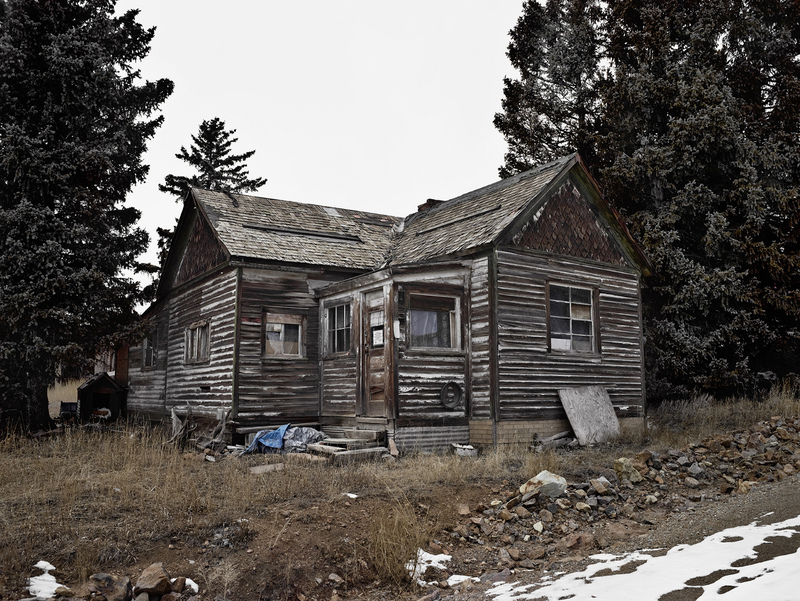 Once a boom town and the centre of the Colorado gold rush, Victor grew up quickly. 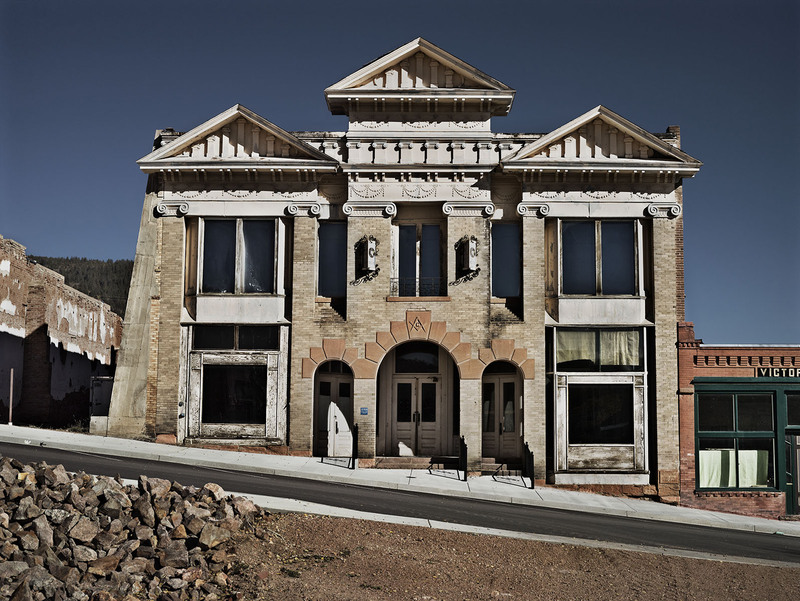 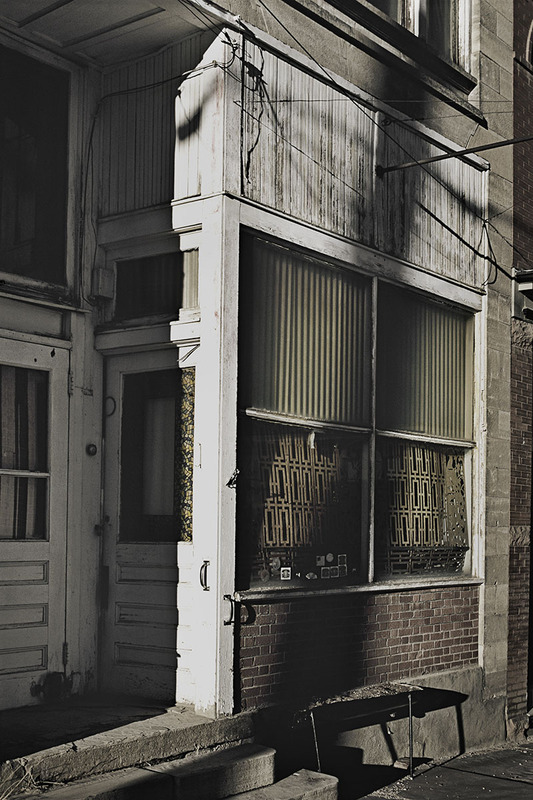 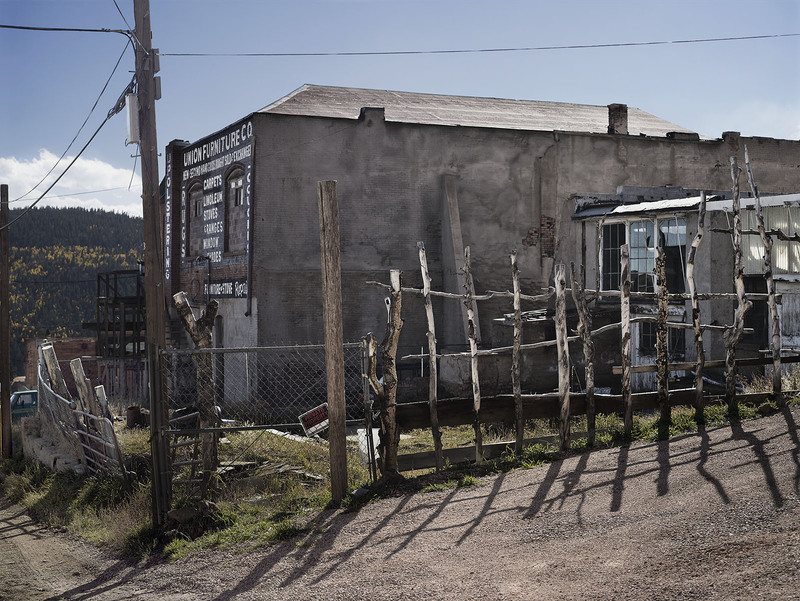 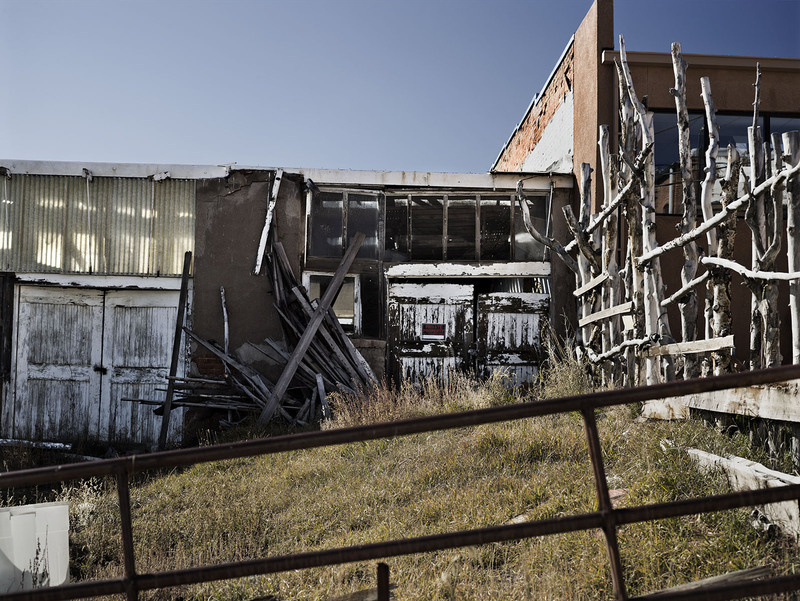 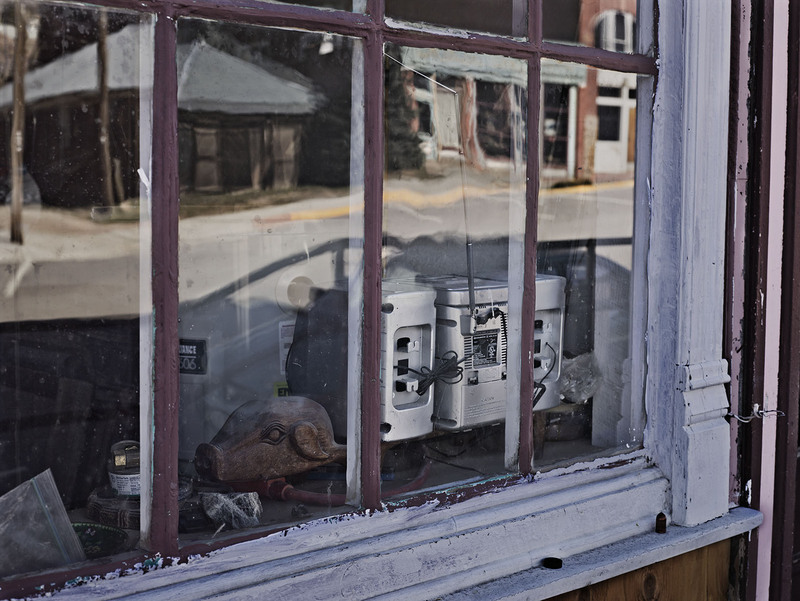 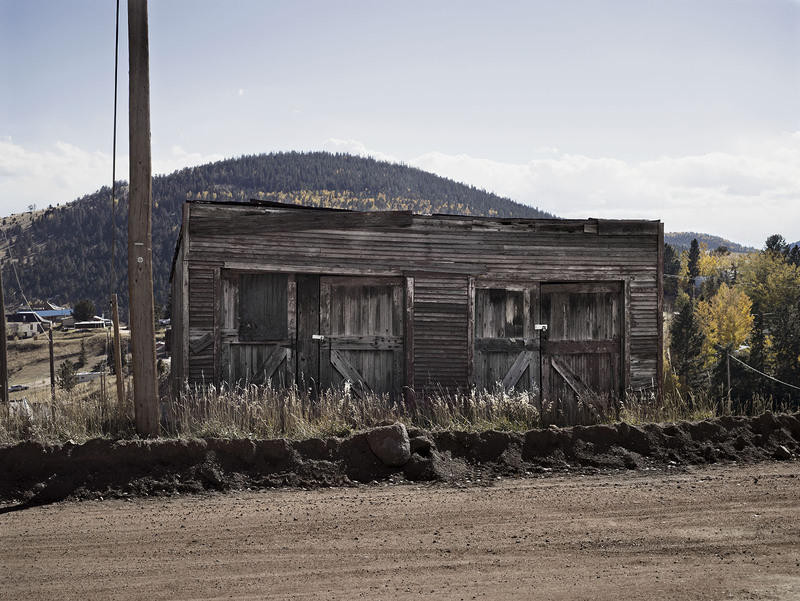 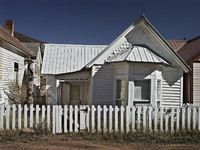 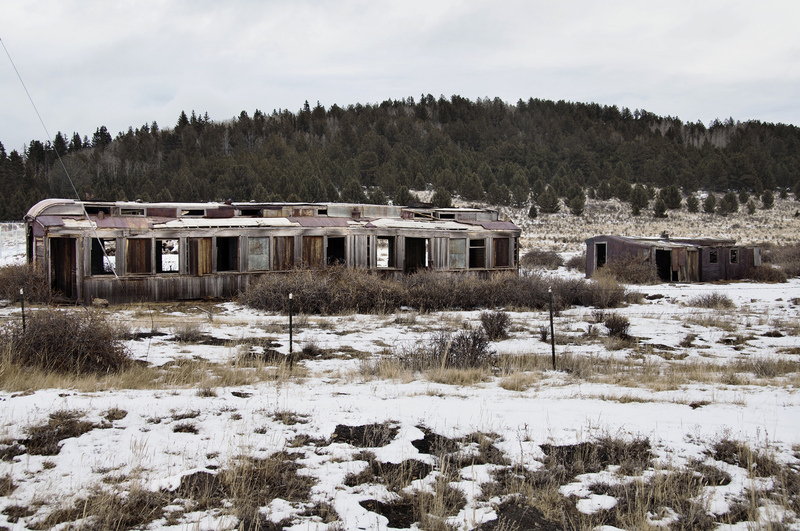 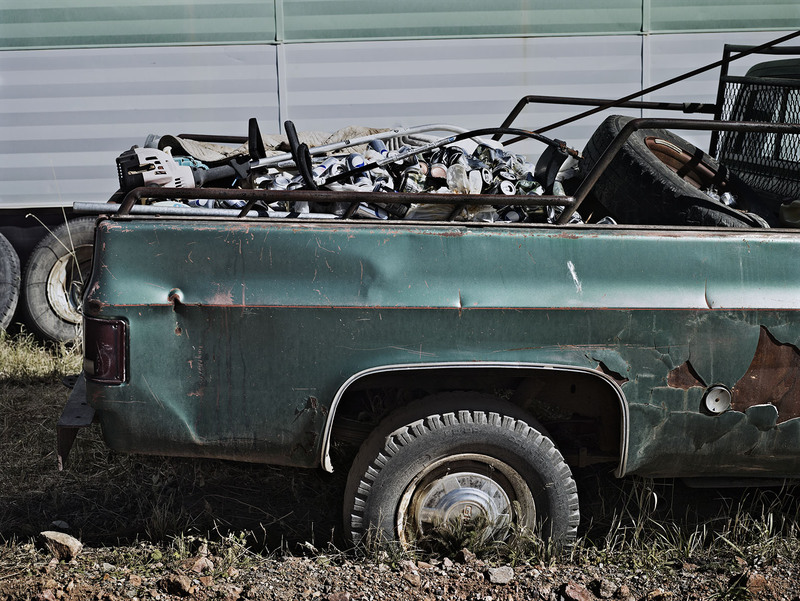 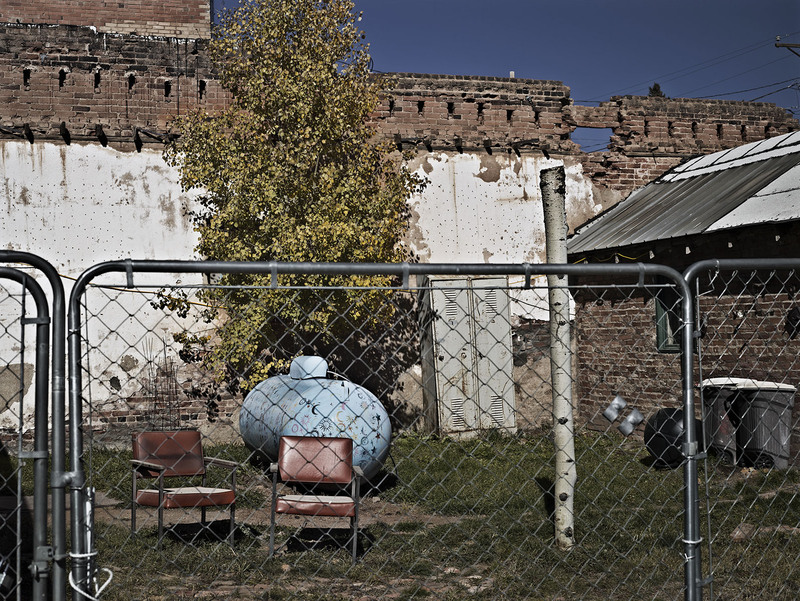 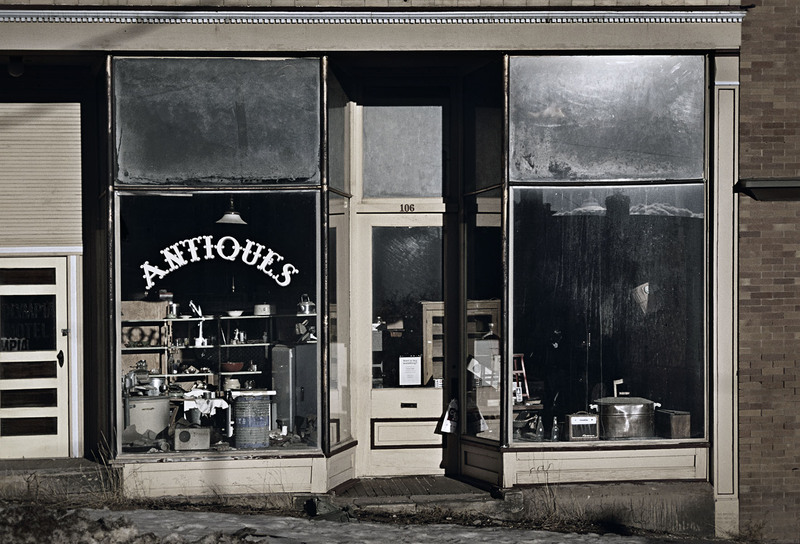 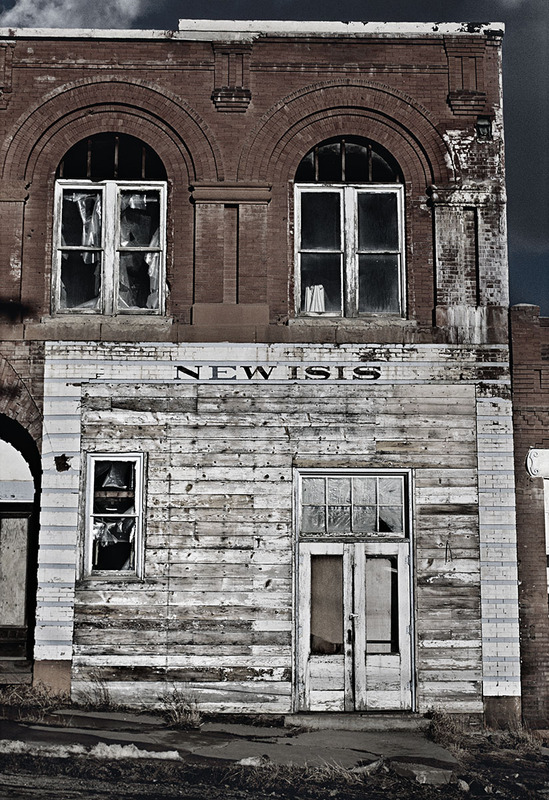 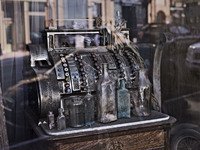 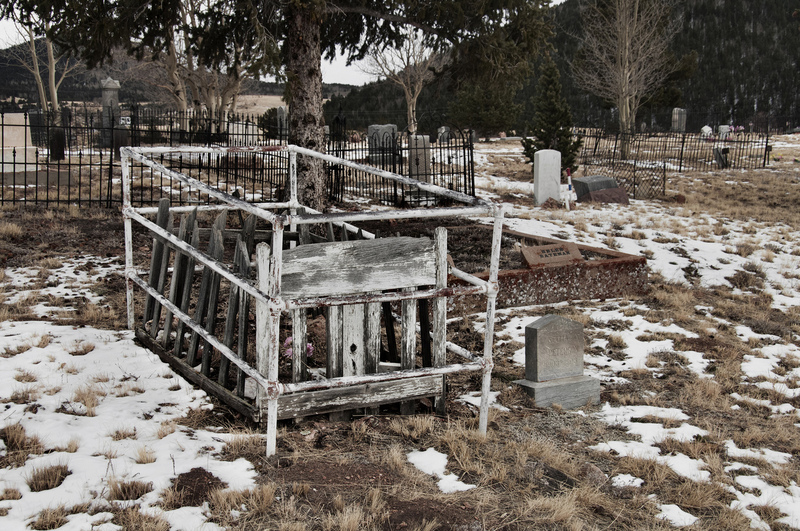 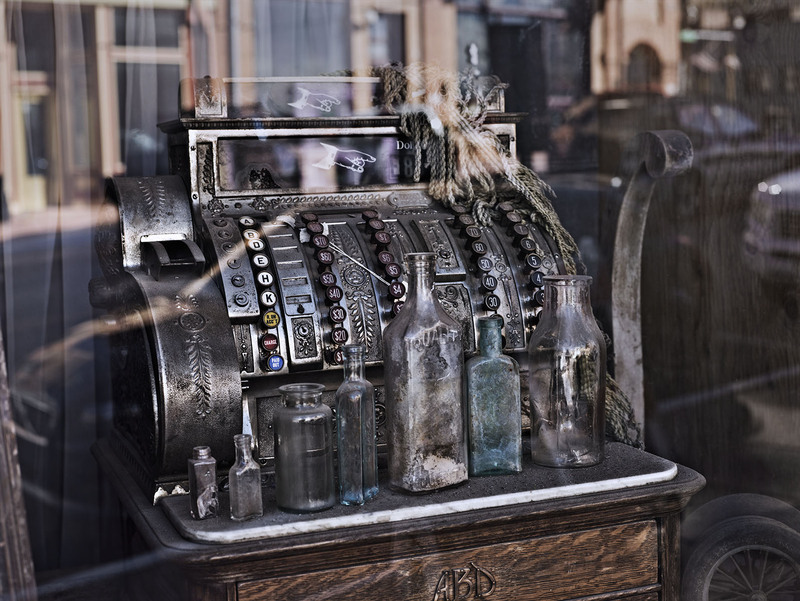 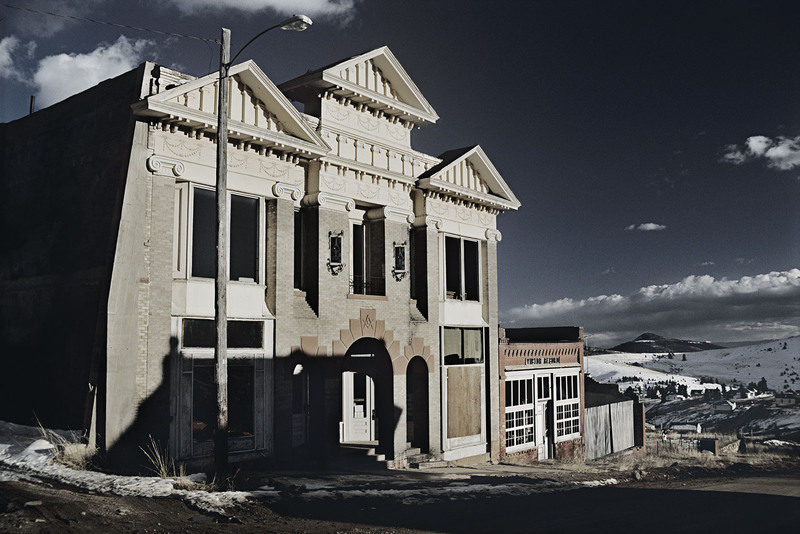 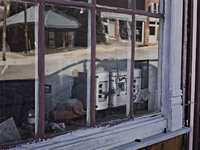 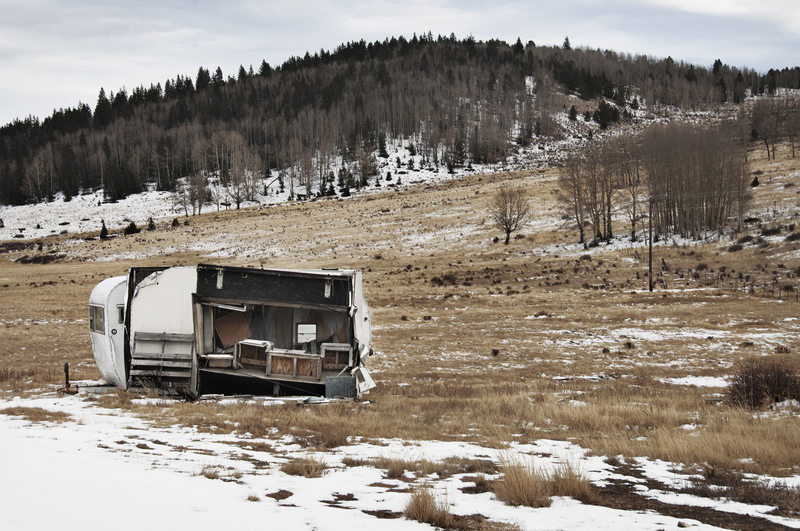 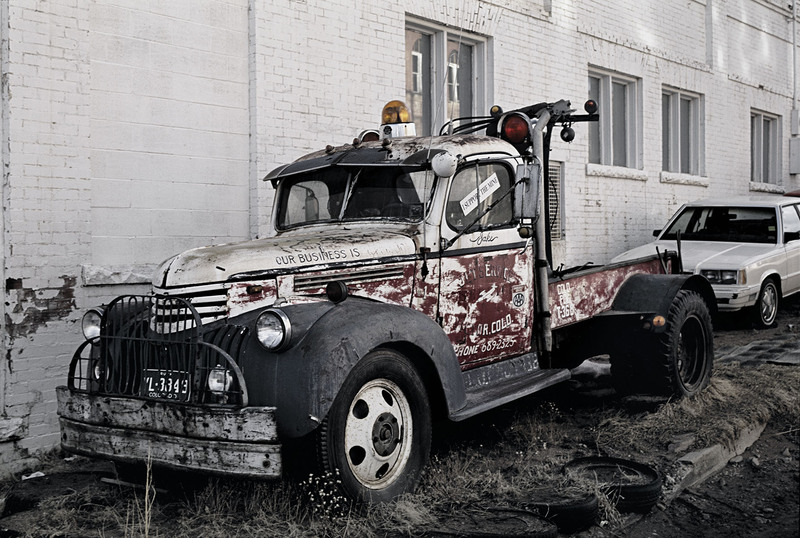 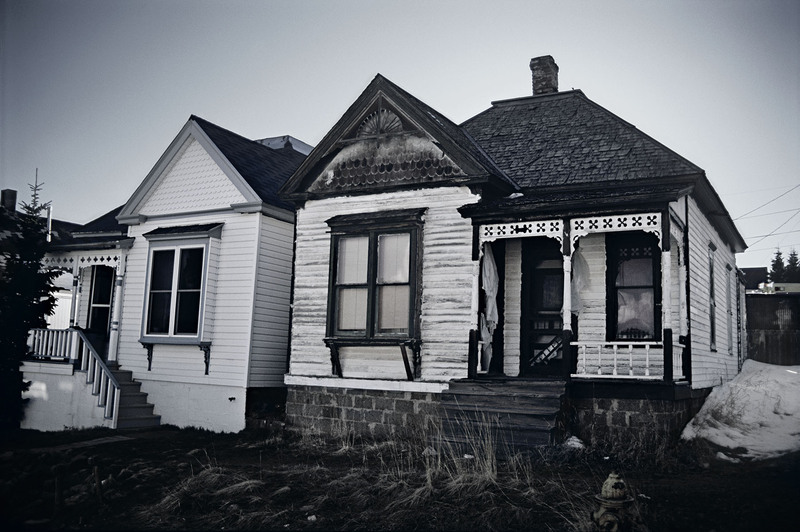 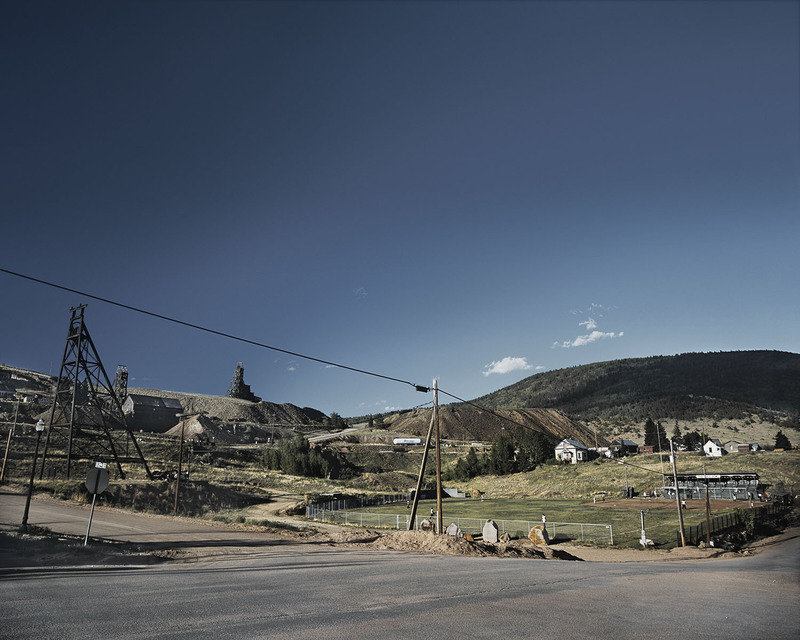 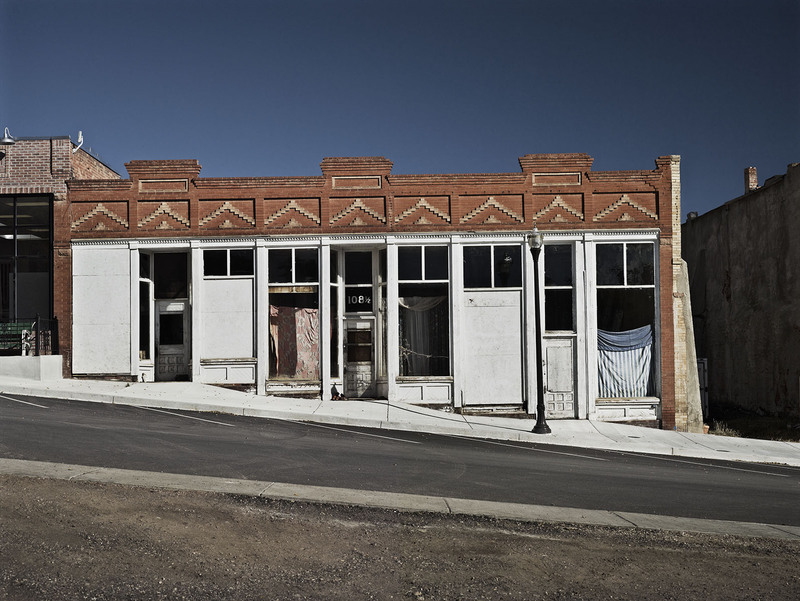 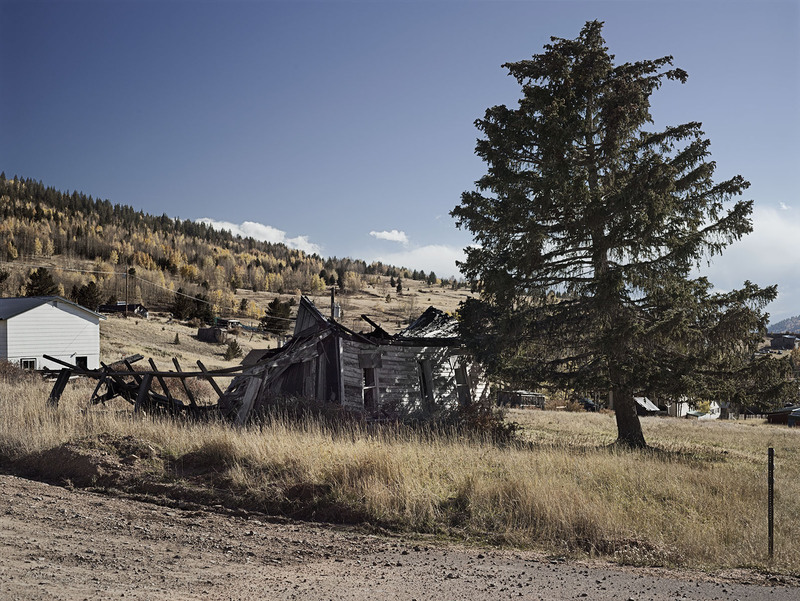 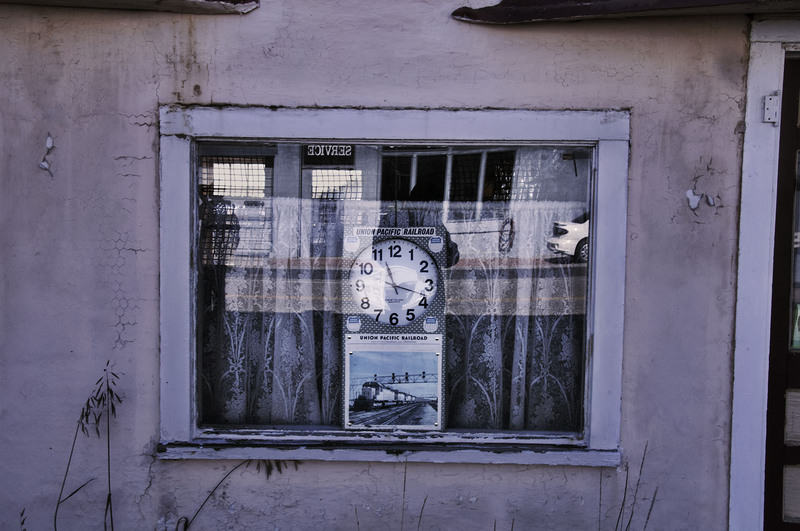 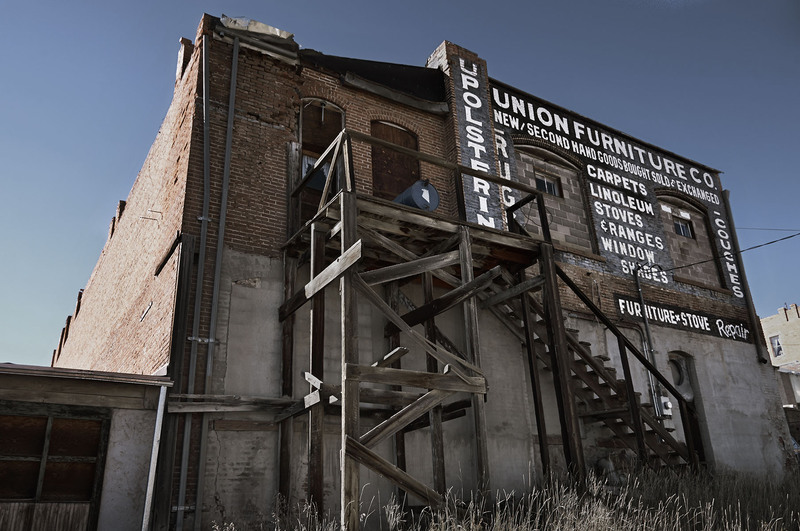 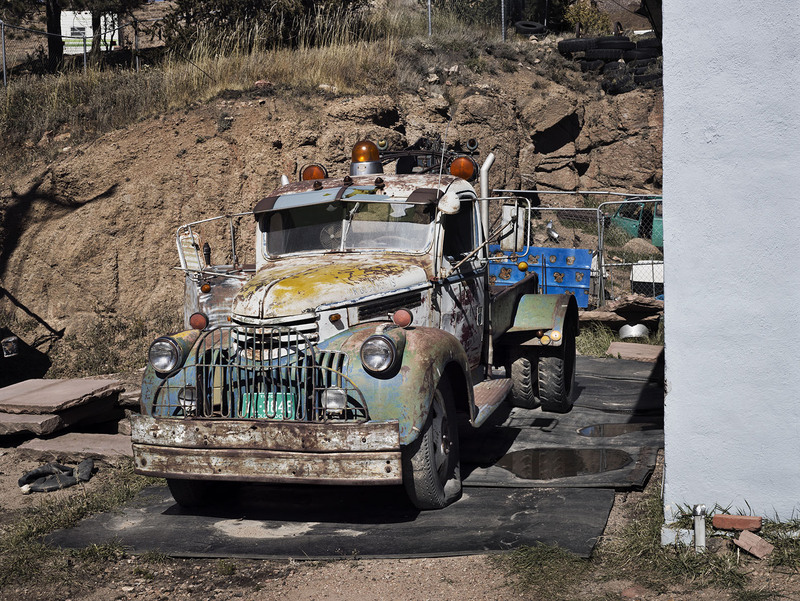 Once the veins of precious metal were tapped out, the town emptied nearly as fast. 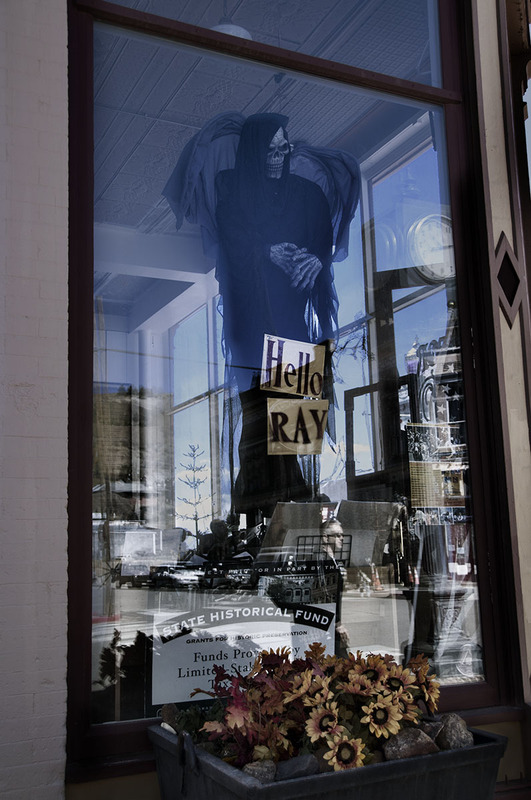 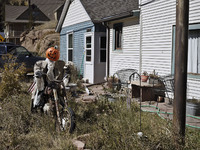 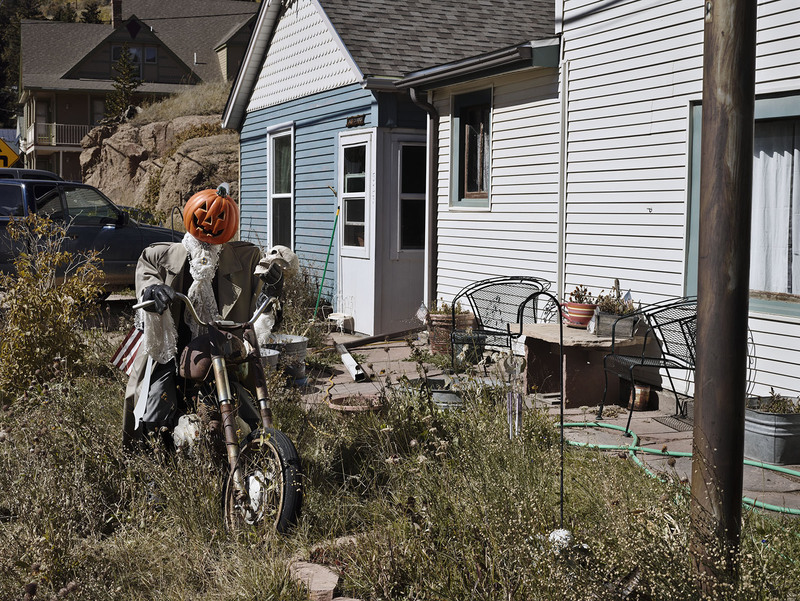 Today, it feels like a community surrounded by the bones of the past (and not just because of all the fun the town seems to have with skeletons around Halloween). 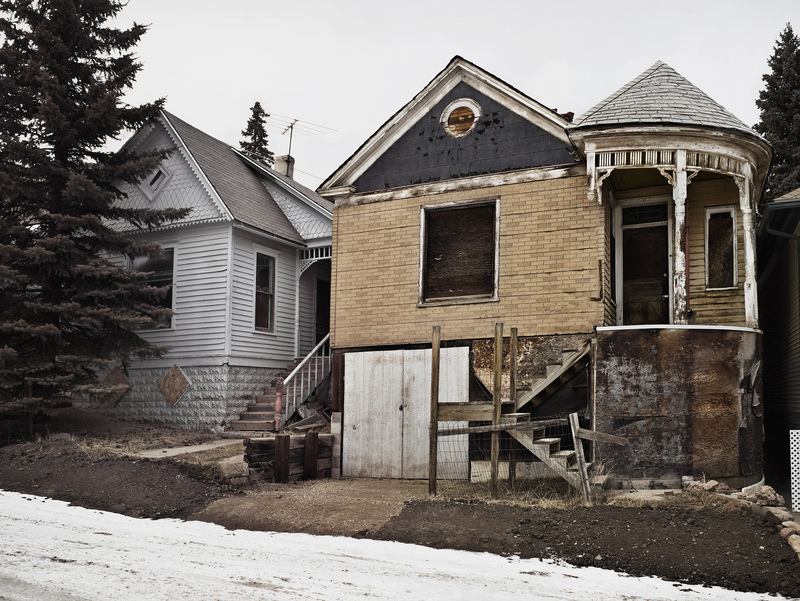 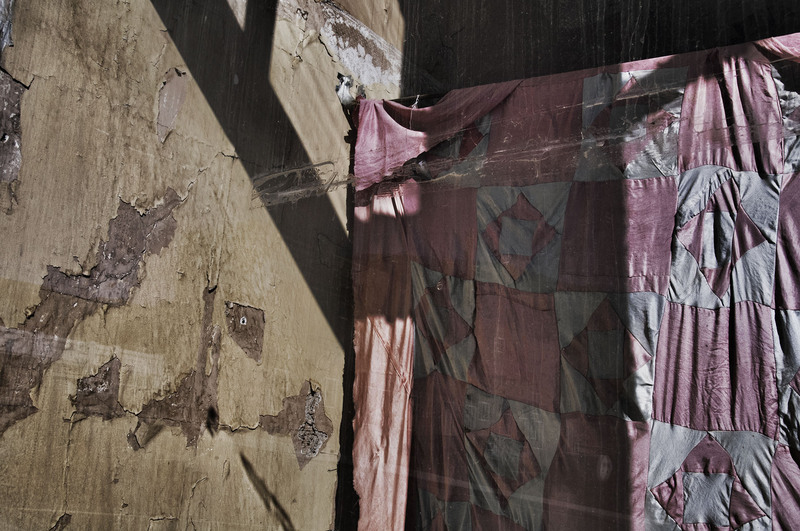 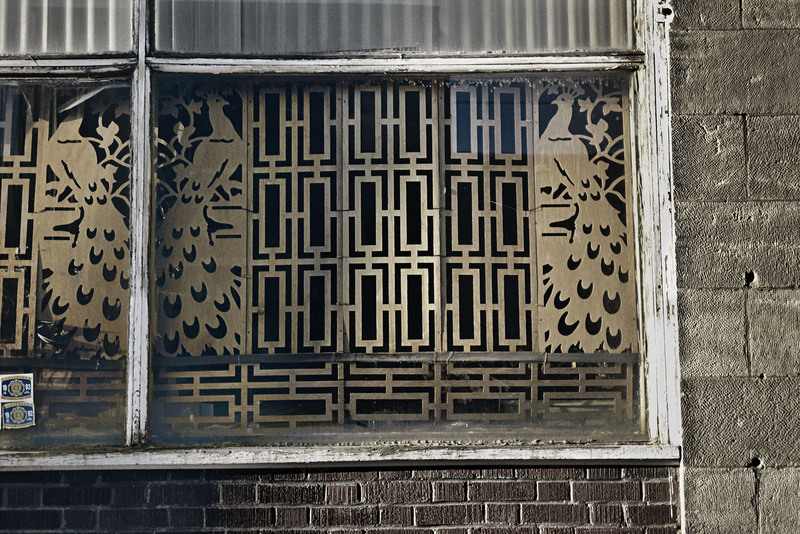 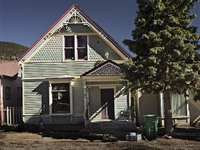 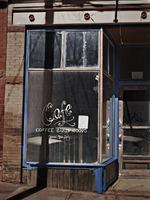 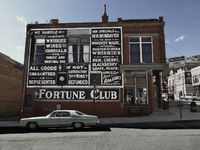 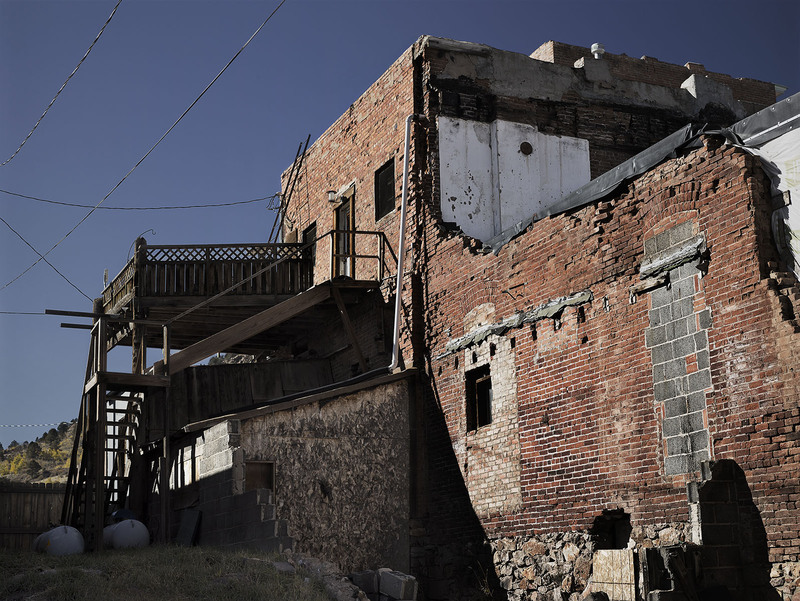 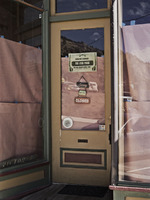 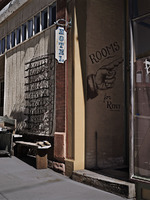 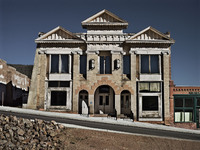 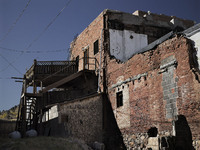 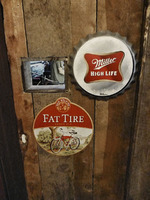 Where many places will raze or bury the relics of history, Victor has left its structures up, exposed and often unkept. 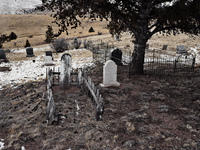 But not unlived in. 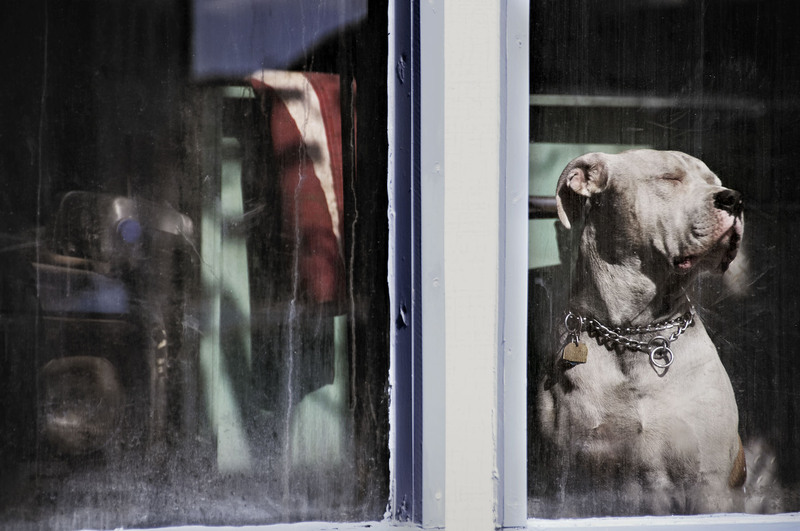 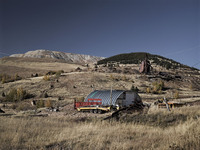 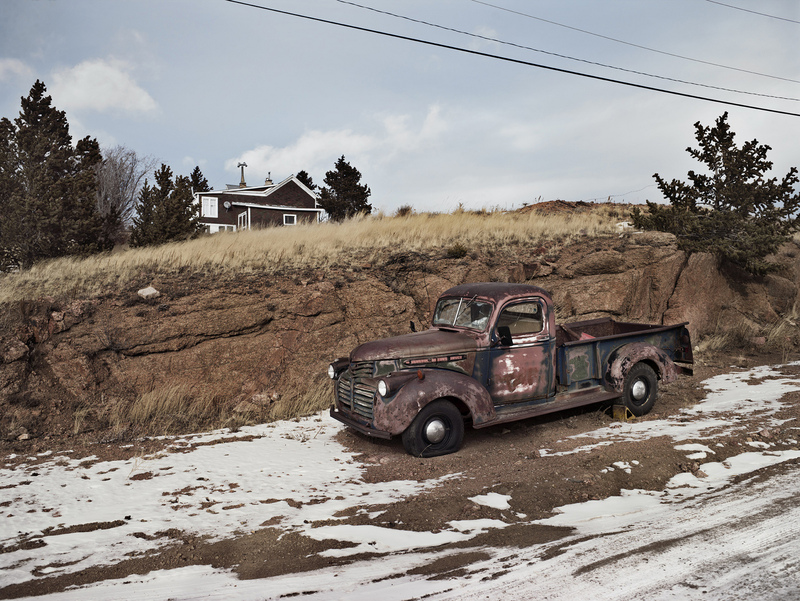 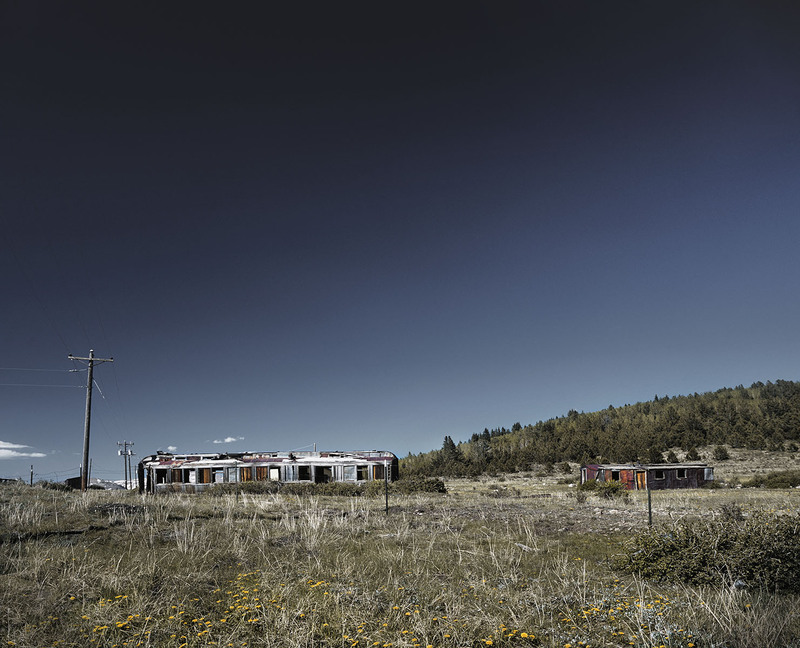 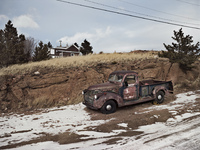 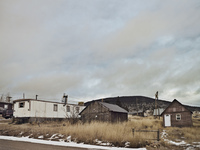 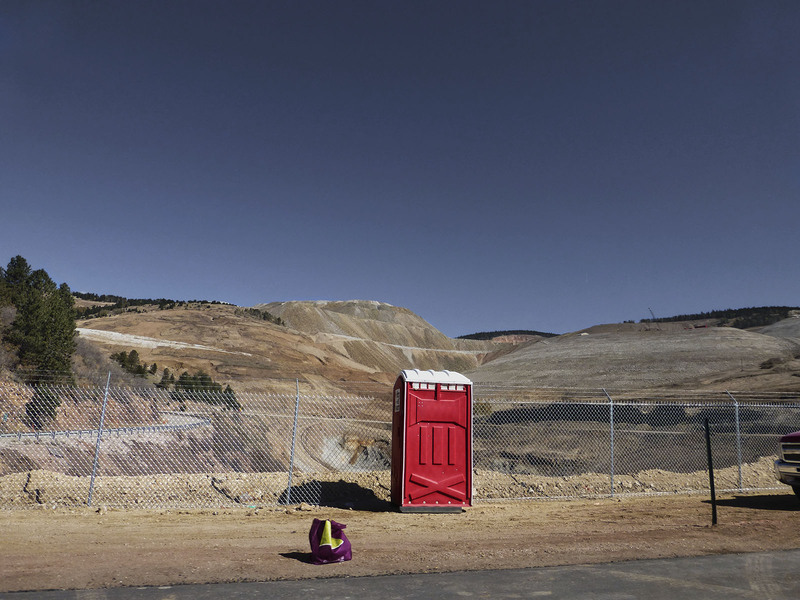 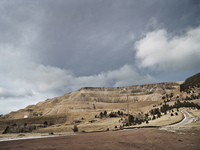 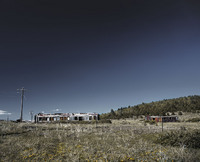 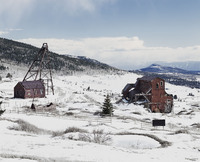 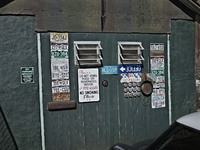 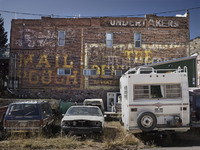 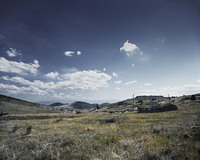 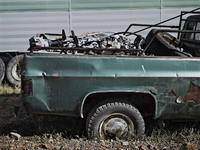 Anderson and Low have captured life in Victor brilliantly, through unguarded moments such as a dog sunbathing behind a smudged window, a rusted pick-up truck loaded with cans bound for recycling, and a single portable toilet set before a barren stretch of mountainside bearing the scars of strip mining. 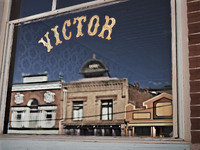 Victor, as seen through the lens of Anderson and Low, is that rare place where the everyday wears a sheen of the profound.